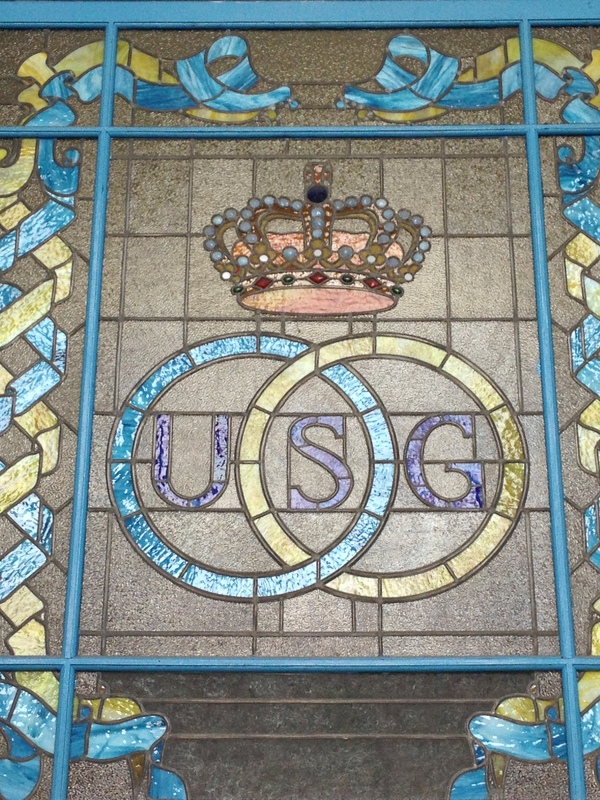 Royale Union Saint-Gilloise were formed in 1897 (matricule number 10) and were arguably the most successful of all Belgian clubs in the pre-World War II era, securing no less than eleven Belgian First Division titles. 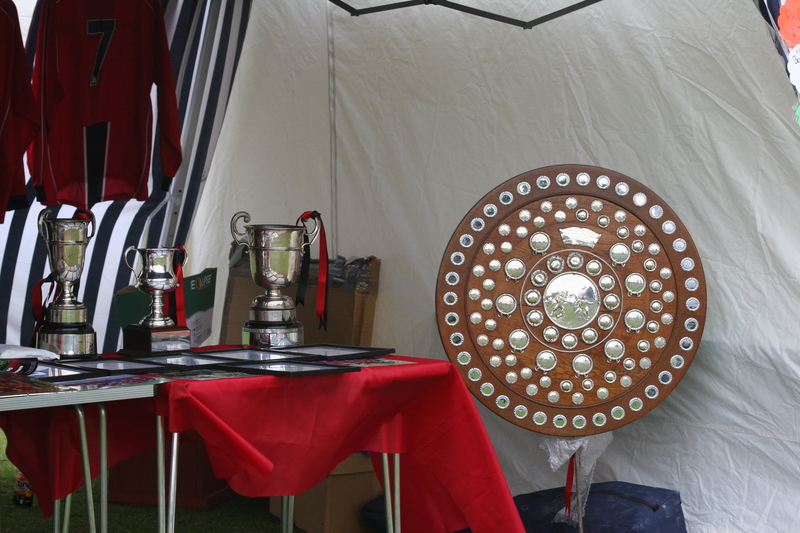 Their run of titles included four straight championships between 1903/4 and 1906/7. A hat-trick of title wins came in the 1930’s and with it a still unbeaten Belgian record of 60 consecutive matches without defeat. 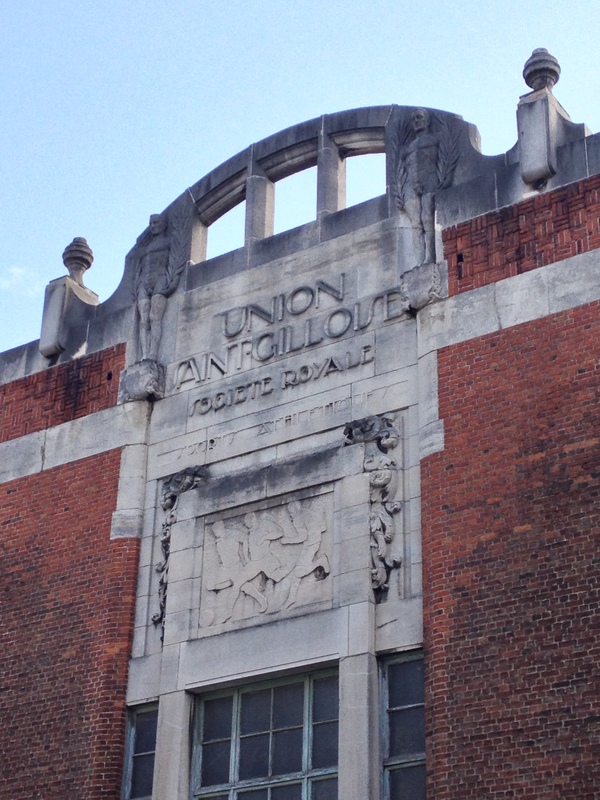 The end of the magnificent unbeaten run came when Union lost to city rivals Daring Club of Bruxelles (later Racing White Daring of Molenbeek) and was a key point in the intense rivalry between Union and Daring in the inter-War years. 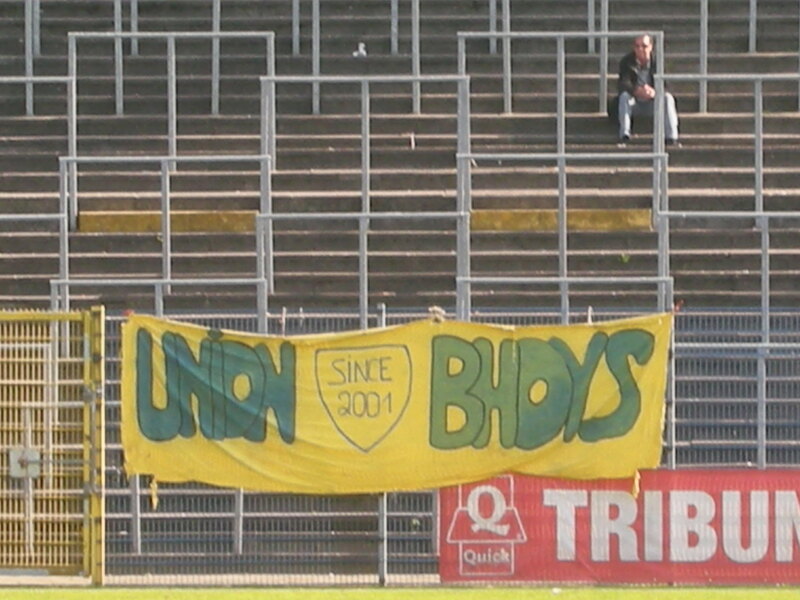 Daring were the older club (matricule 2) but had won less championships than Union. 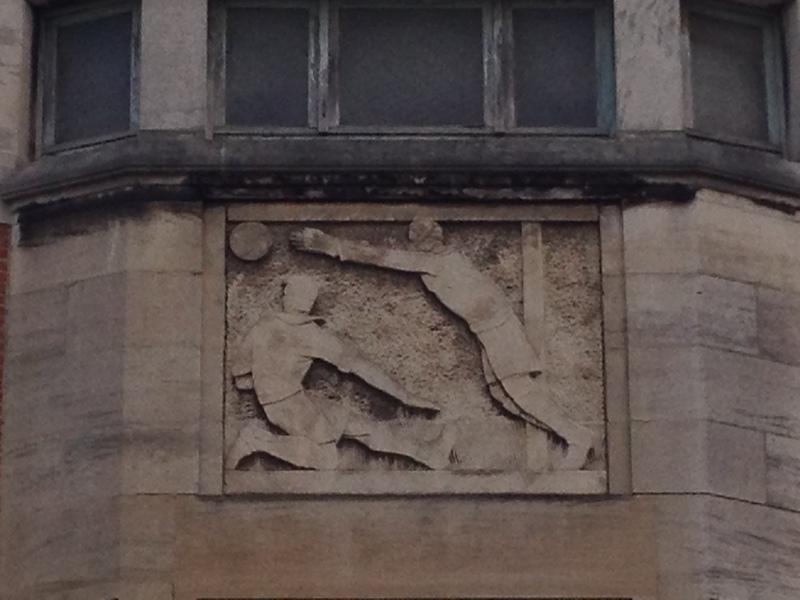 The great rivalry even transcended the football field and was made into a highly successful theatrical play “Bossemans and Coppenolle”, the eponymous characters being fans of either club. Even as late as the 1980’s when both clubs were in the Second Division, 20,000 people would attend the great city derby. 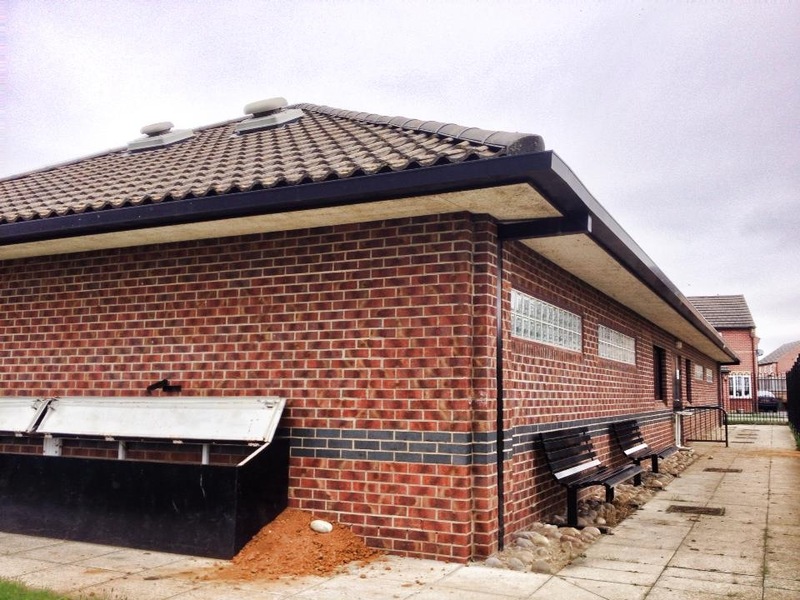 Sadly the old RWDM club folded in 2002. 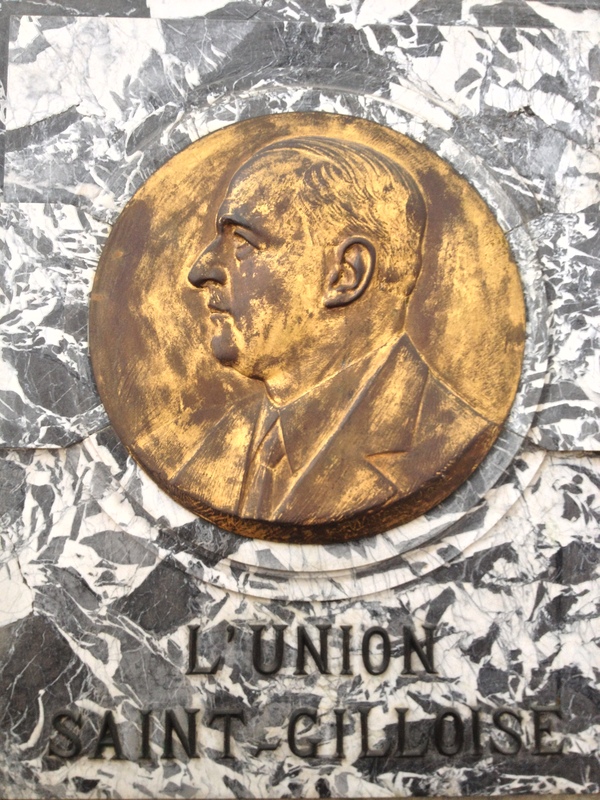 Union were also a force in the early pre-UEFA European competitions, winning both the Coupe Ponthoz (three times) and the Coupe Dupuich. 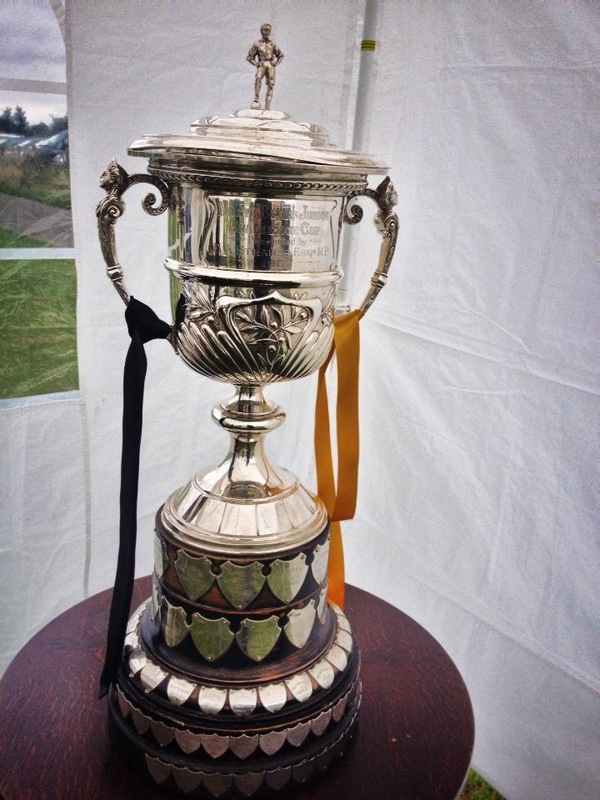 They also competed well in UEFA competitions in the late 1950’s with the pinnacle being a semi-final appearance in the old Inter Cities Fairs Cup. 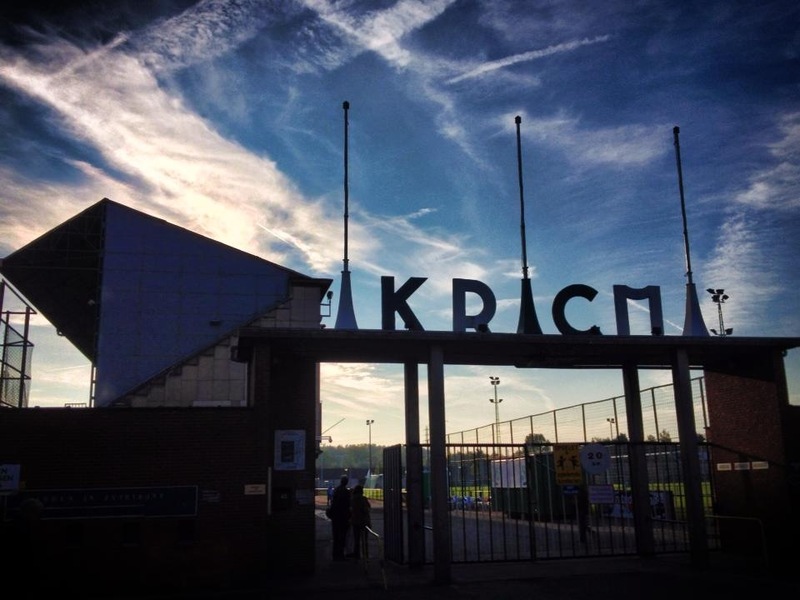 Lokomotive Leipzig and AS Roma were defeated over two legs on the way to a semi-final meeting with Birmingham City. The English side won both legs by four goals to two, before losing to Barcelona. 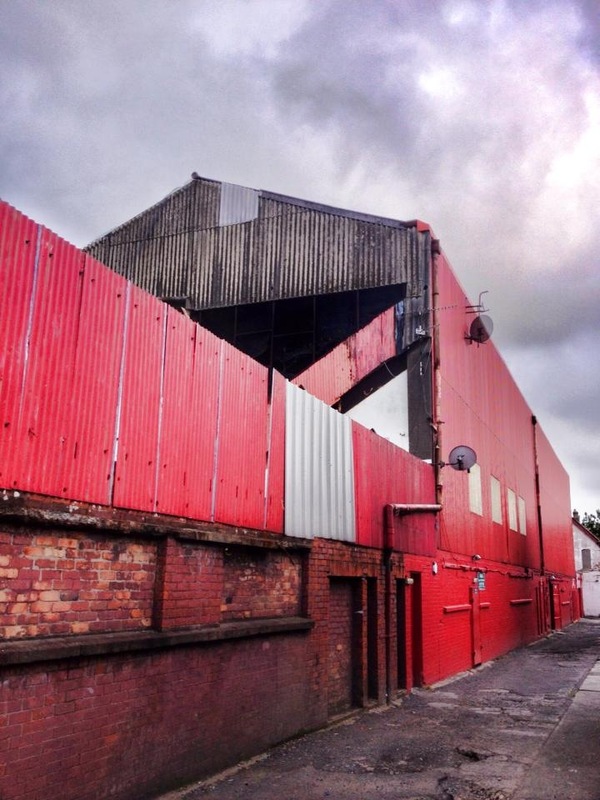 The 1950’s were, however, to be the last of the golden years for Union, by 1963 they had dropped into the Second Division and only 17 years later they were in the fourth tier. These days they compete in Division Three. 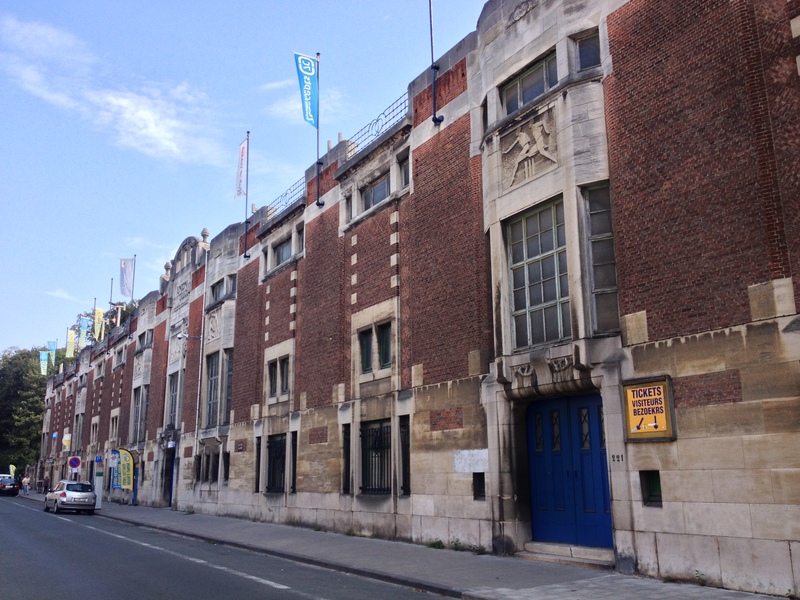 The club derived their name from the site of their original home of St. Gilles, a department of Brussels and also a twin town of Tower Hamlets. The St.Gilles name itself comes from a seventh century Greek Christian hermit, venerated for establishing a large abbey in the Provence region of France, and also for his work in suppressing the spread of bubonic plague. 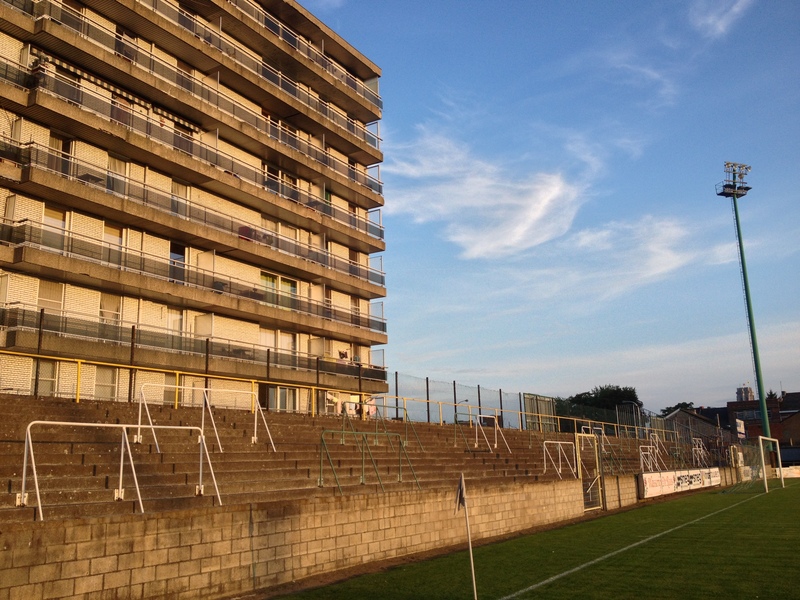 Prior to the current ground the club played on a number of pitches including a field called La Cambre which was adjacent to the velodrome. 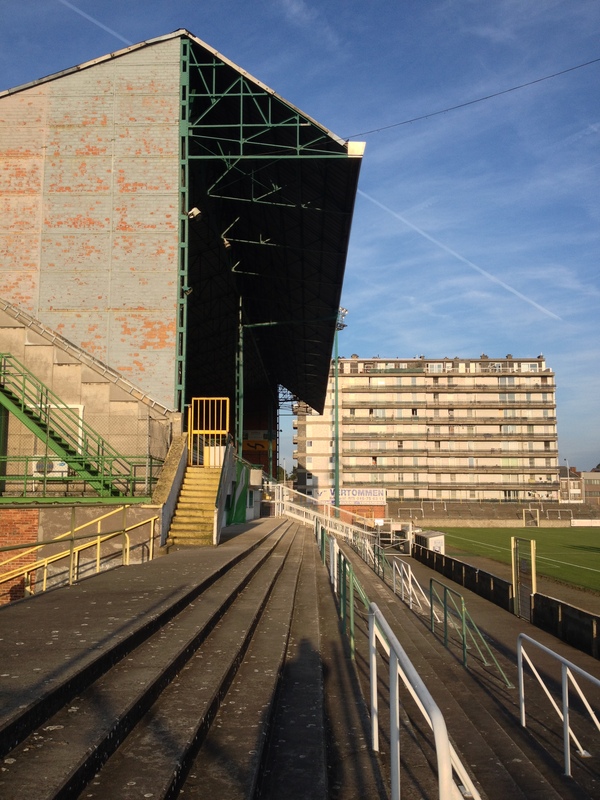 In the early 1920’s the club moved to the neighbouring Forest area to take up residency at the Stade Joseph Marien. 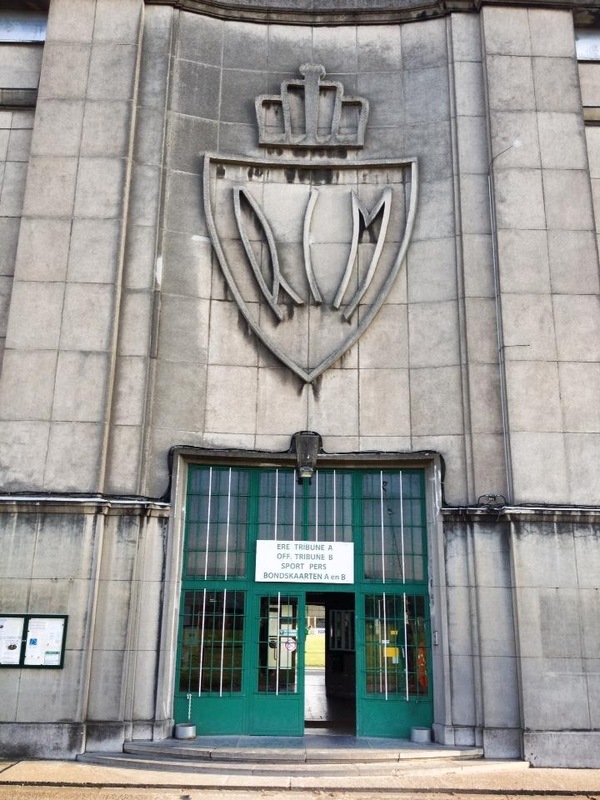 The stadium and the stadium is set in the pleasant surroundings of Duden Park and had originally been built in 1919 to host some of the football matches of the following years summer Olympiad held in Brussels. 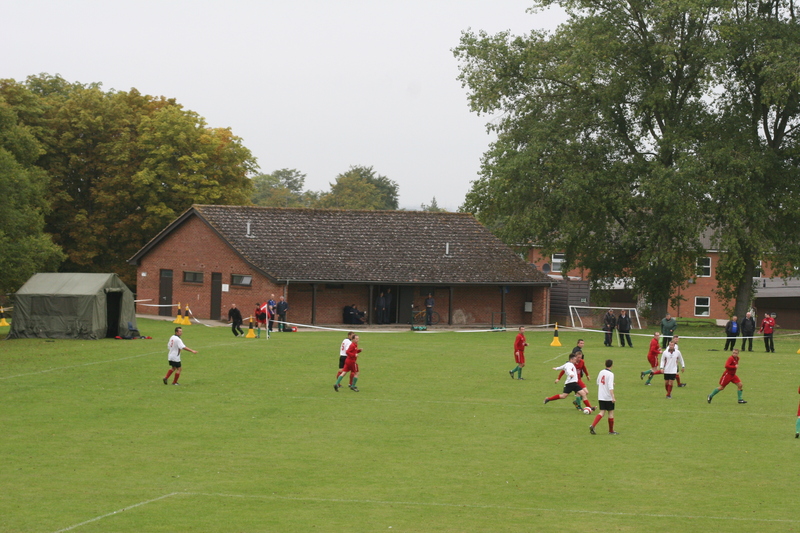 At that time it had a modest grandstand and the changing rooms were on the opposite side of the pitch. The wonderful clubhouse shows the plans for the incredible facade of the present stand and are dated 1922. However, it was not until August 1926 when, in the presence of Prince Charles of Belgium, the new stand was officially inaugurated. 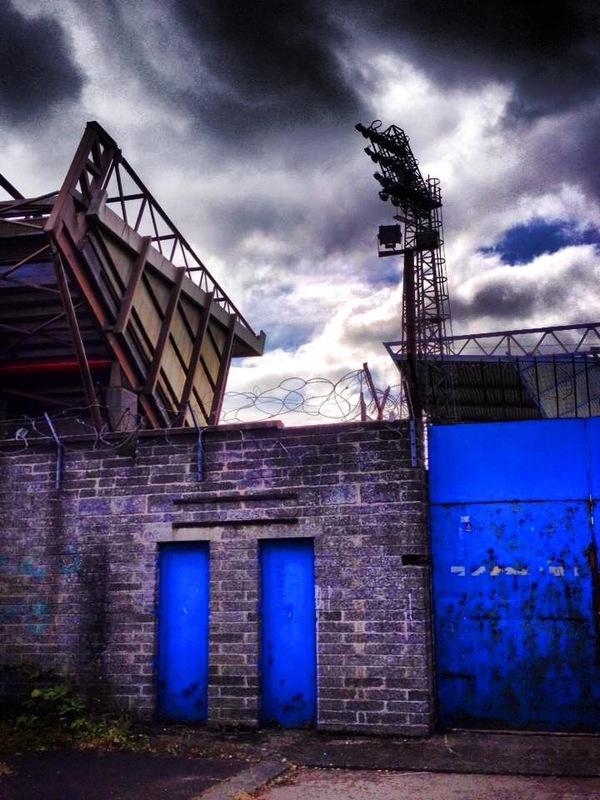 It is an absolute masterpiece of design and construction, very much up to the standard of contemporary Leitch constructions at Rangers, Aston Villa and Fulham. 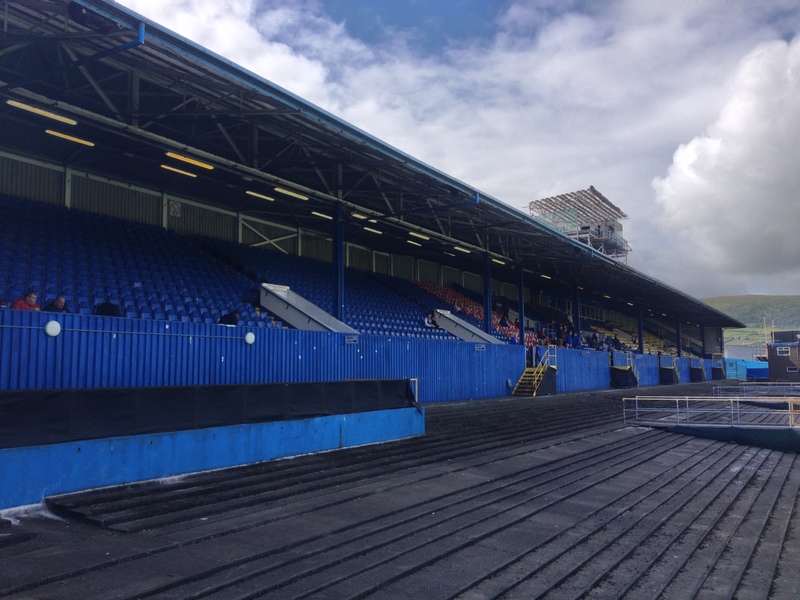 In the intervening years the stadium is pretty much unchanged save for the addition of roof mounted floodlights and the annexing of some crumbling old terracing behind one goal. 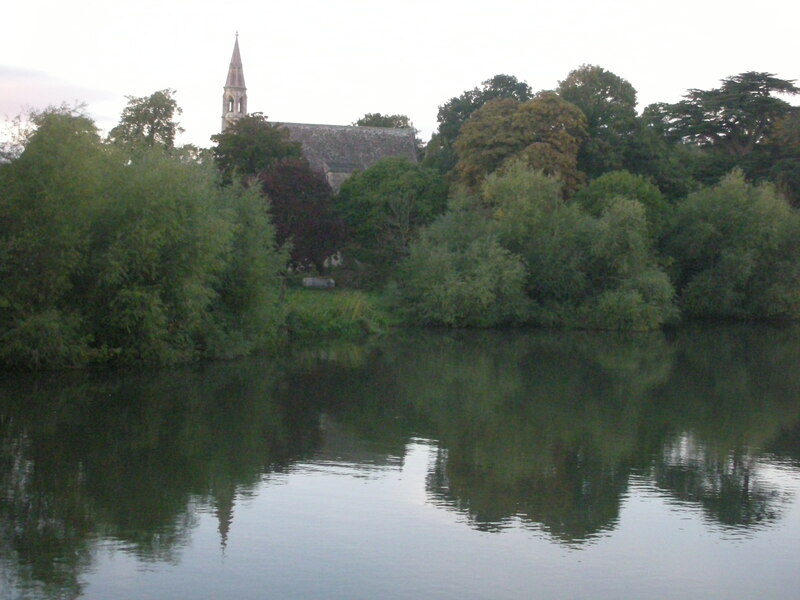 The modern day capacity of the Marien is set at 8,000. 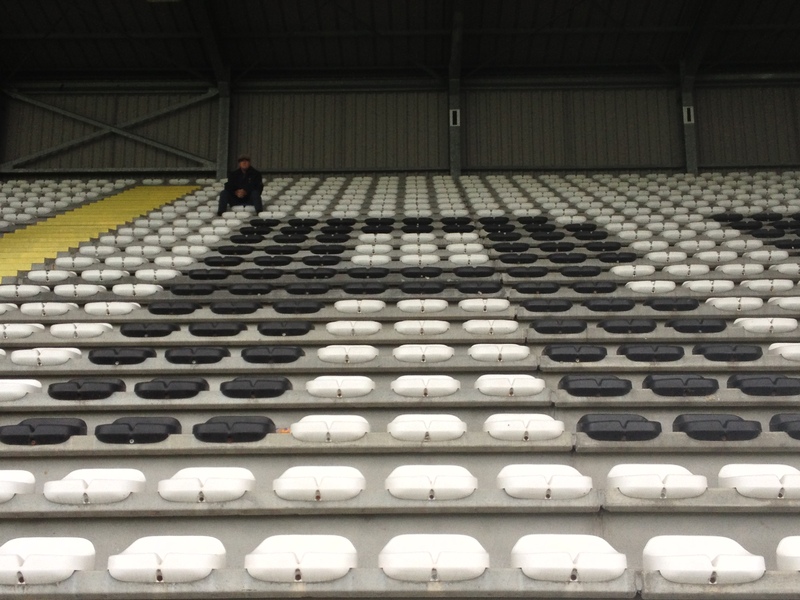 The large open terracing opposite the grandstand is truly magnificent and sports a veritable forest of crush barriers. 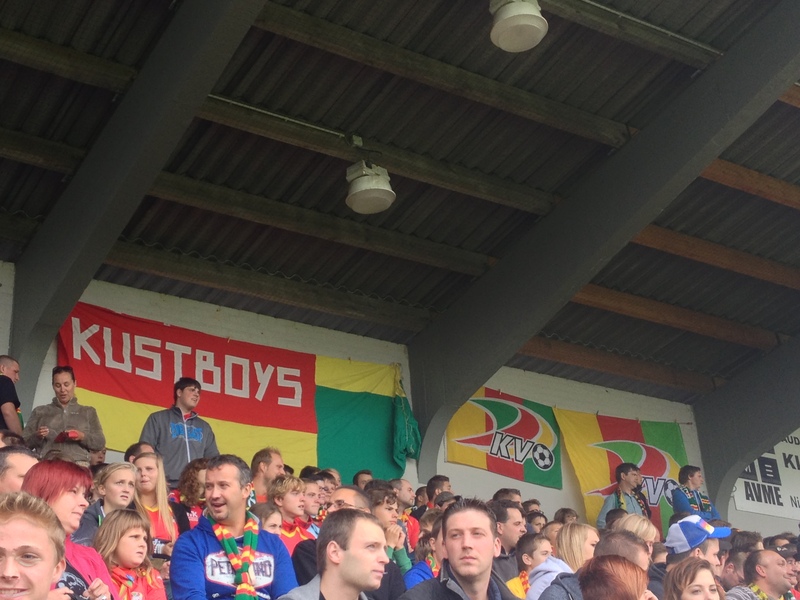 Interestingly one of the flags on display is the Belgian tricolour with the club crests of USG, RFC Liège and Cercle Bruges, two other clubs that share Union’s stance on history and the very fabric of their identity. The first half of this Third Division encounter was goalless and was probably shaded by the visitors, Sprimont-Comblain, although they could not capitalise on a number of good chances, mainly due to the fine form of home goalkeeper, Anthony Sadin. The home side came out from the break with renewed vigour and within four minutes managed to break the deadlock with a superb strike from the Italian Ignazio Cocchiere. The game then became the Yahya Boumediene show. The young Belgian of Morrocan extraction, runs the Sprimont defence ragged with a super display of trickery and pace. It is no surprise when he sets up Union’s second goal. He dances into the visitors penalty area yet again and selflessly squares the ball to Esteban Casagolda. He clips the ball around the keeper and slots the ball into an empty net. With just eight minutes left there is no way back for Sprimont and Union run out deserving winners. 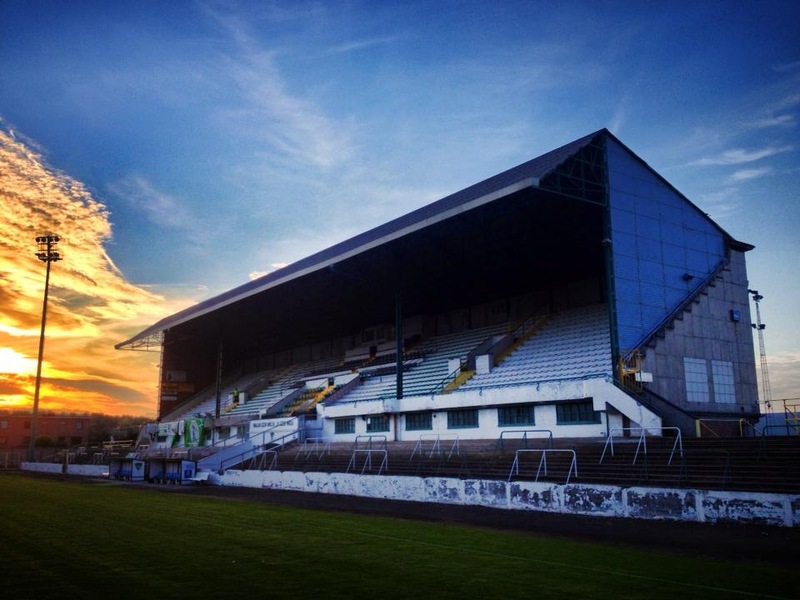 As some unseasonably late summer sun beat down on this magnificent arena it really felt like there were few better places to watch a game of football. 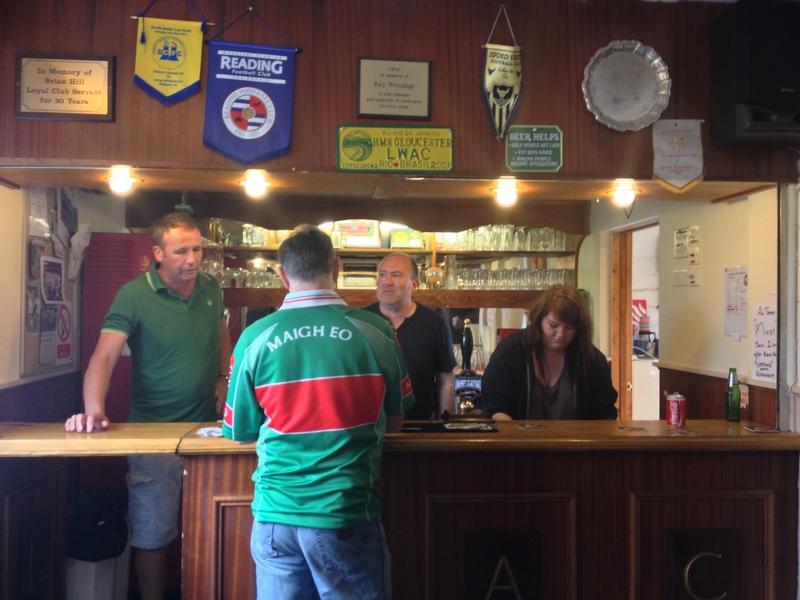 A great club, fascinating history well preserved and cherished by the current board, and a most welcoming set of staff and supporters. 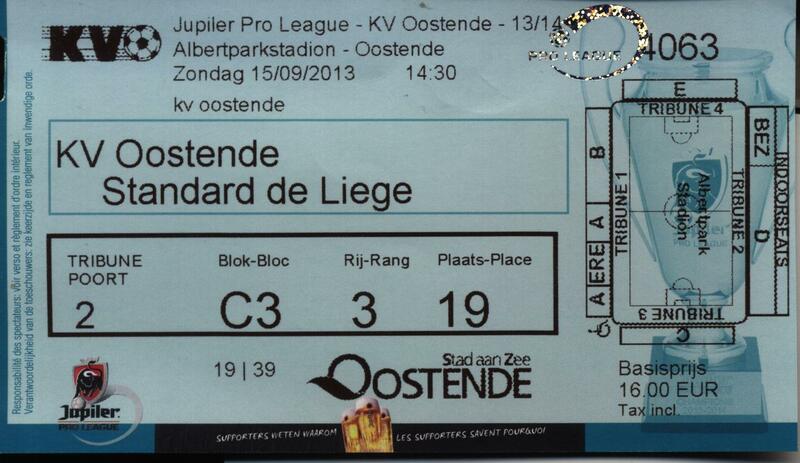 I would say that it Union Saint-Gilloise have got everything just about spot on. 19. Anthony Sadin; 4. Anthony Cabeke (c); 17. Steven Godfroid; 21. Robby Vanhamel; 13. Vincent Vandiepenbeeck; 24. Yahya Boumediene; 5. Aaron Verwilligen; 8. Steve Dessart; 15. Ignazio Cocchiere; 9. Esteban Casagolda; 18. Gregoty Bilstein. 1. Gwennael Jaa; 2. Pierre Gobiet; 21. Bruno Carvalho-Fernandes; 27. Sebastien Van Aerschot; 5. Gilles Bernard; 16. Michael Wiggers; 8. Alexandre Bury; 24. Jerome Colinet; 7. Jacques Beckers (c); 17. Arnaud Lakaye; 18. Anthony Manfredi. Subs: 3. Nicolas Birti (for 21,66 mins); 4. Aloys Lambert; 10. Stefano Henrot (for 2,56 mins); 20. Quentin Simonis. 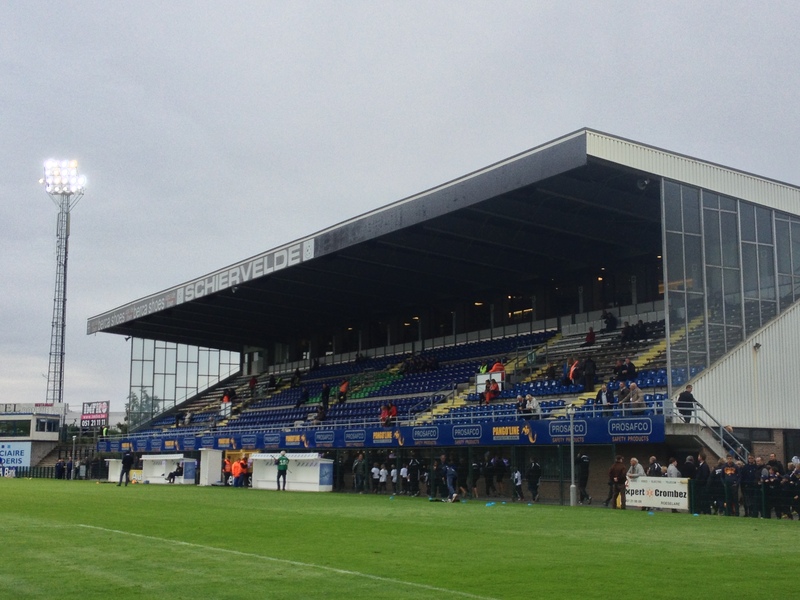 The need to watch a game at Racing Mechelen was not only due to their magnificent Oscar Vankesbeeckstadion but also for the fact that my beloved Southend United played a friendly at this very ground in 1953. Racing won the game by a score of 3-2. 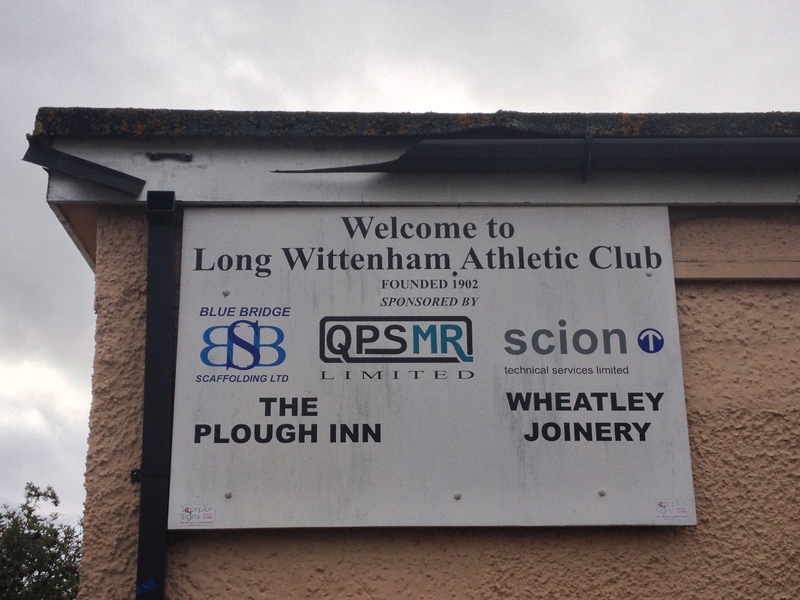 It is something of an ongoing research/travel piece visiting the still existent venues the club played a game at in their prodigious touring throughout the 1950’s and early 60’s. 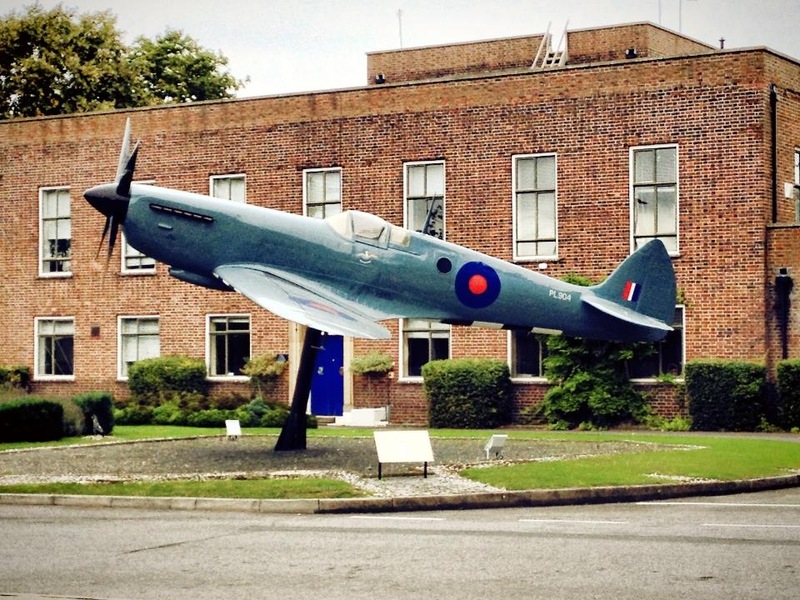 In those days they were known by the French version of their name Racing Malines. 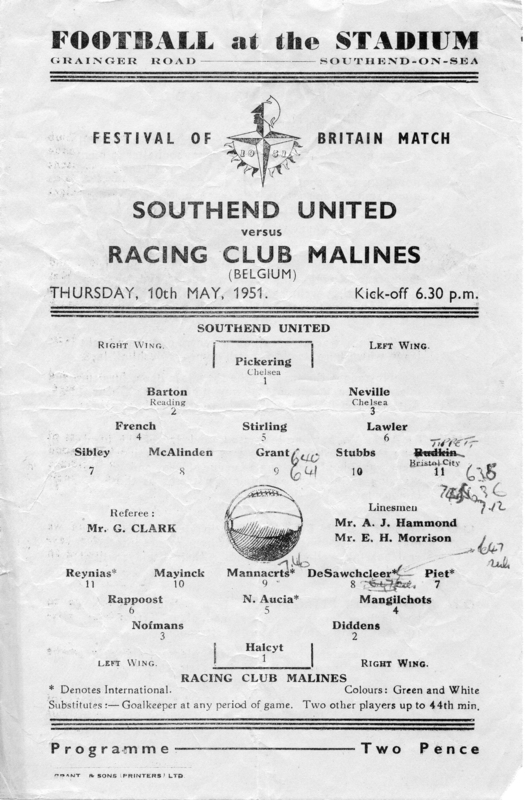 Racing also visited Southend, at the Grainger Road Stadium, for a friendly in 1951 as part of the extensive Festival of Britain celebrations. 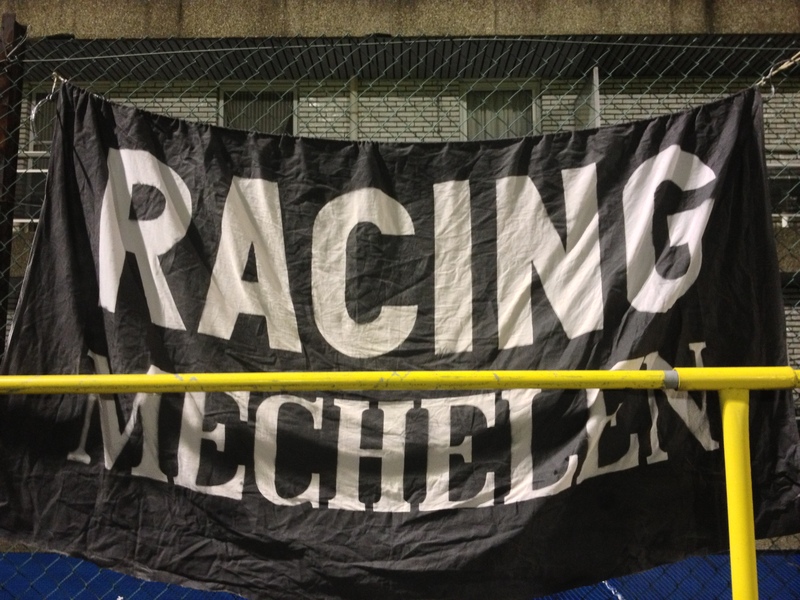 Racing were formed in 1904, just a few months before crosstown rivals KV Mechelen and were awarded the low matricule number of 24. They were always the senior of the two Mechelen clubs and in their heyday finished in third place in First Division for 1949/50 and 1950/51 and runners ups the very next season. 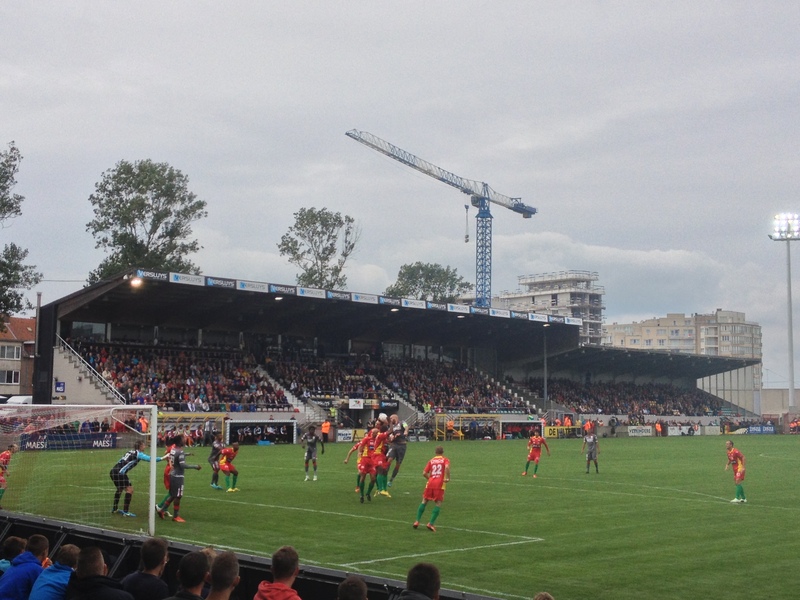 Decline set in, however, and while Racing dropped down to the third tier, FC (now KV) Mechelen assumed the status of the city’s highest ranked club. Worse news still for Racing came in 2010 when they were relegated to the fourth tier for the first time in their history. 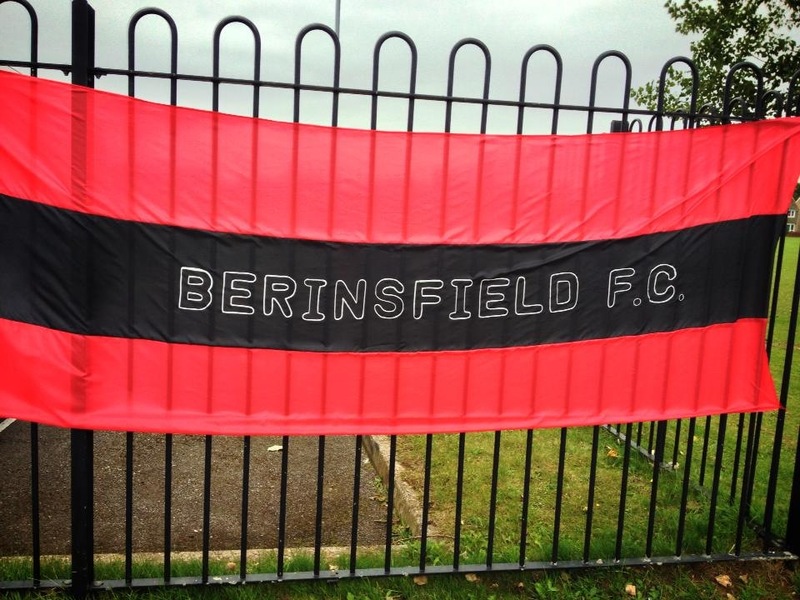 Mercifully they were promoted back to Division Three after just one season. 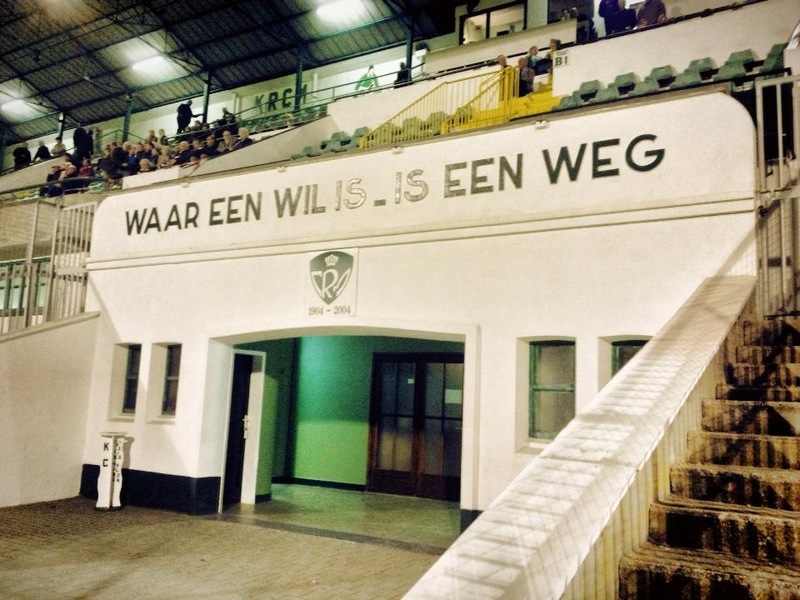 The club had become very popular in its formative years as their original ground at Rodekruisplein was in the heart of the working class area around the river and associated industries. 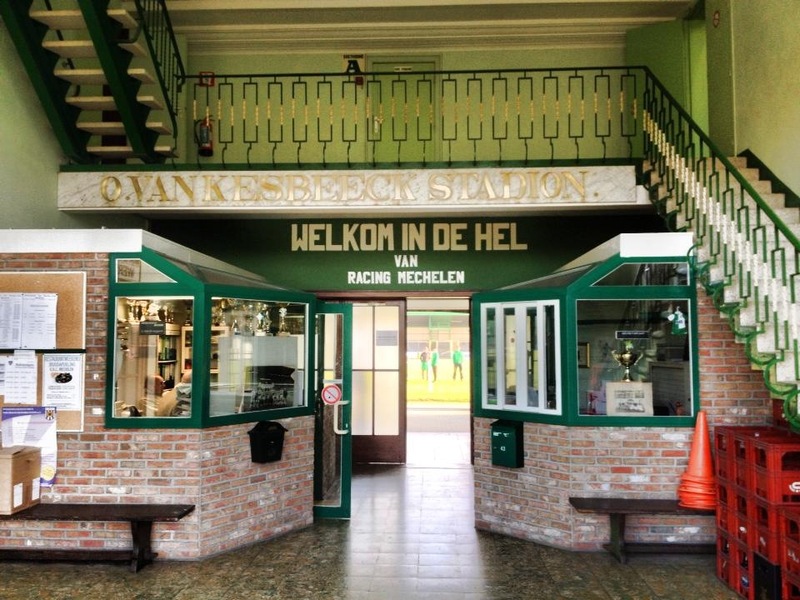 Racing then moved to the magnificent Oscar Vankesbeeckstadion which was originally opened in 1923. It commemorates a Flemish liberal politician who also had a six year tenure in charge of the Belgian FA. 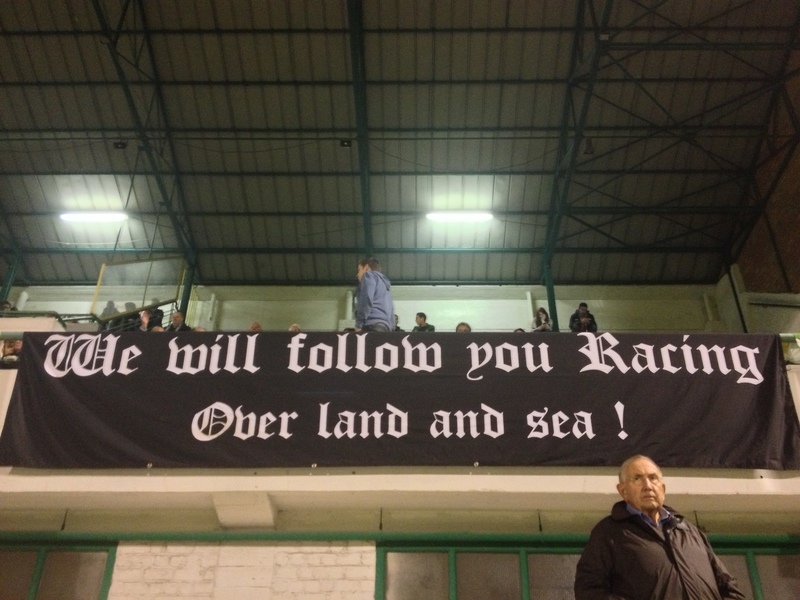 Van Kesbeeck was also elected the first chairman of Racing Mechelen back in 1905 when aged only 18. 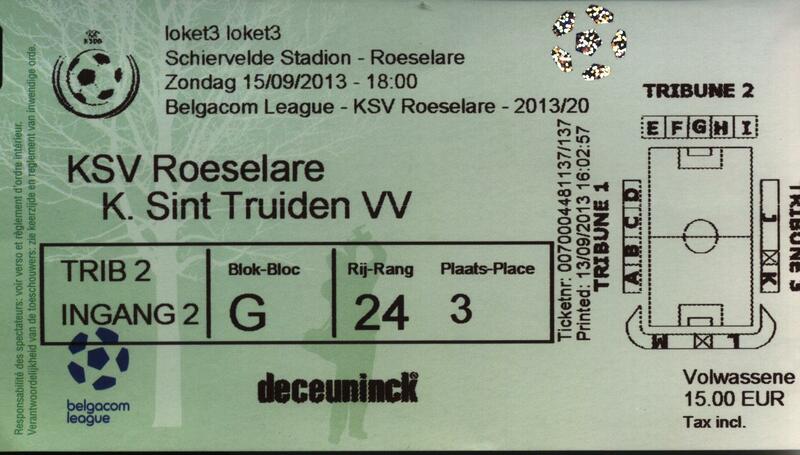 The stadium has a generous capacity of 13,687 (1,900 seats) and is comfortably the largest in the Belgian third tier. 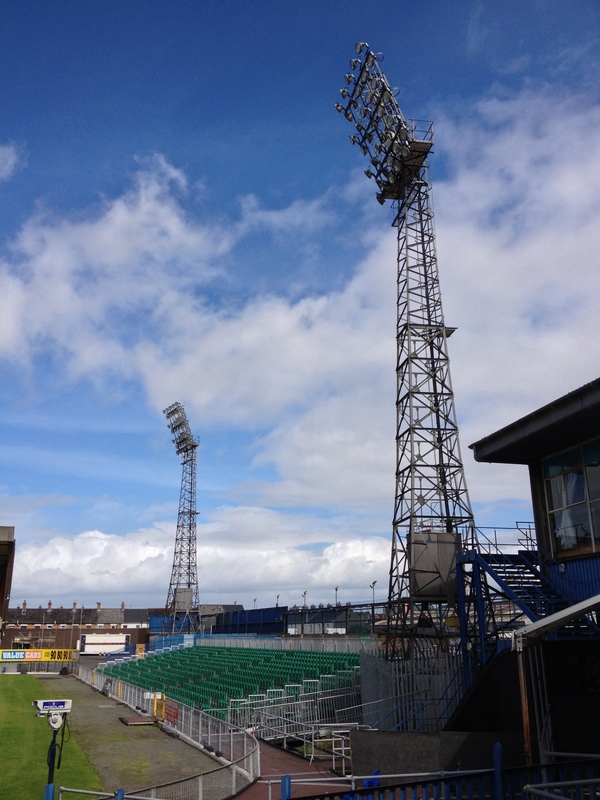 Following bombing damage in the war which saw the original main stand destroyed, the stadium was substantially renovated and enlarged in 1947. 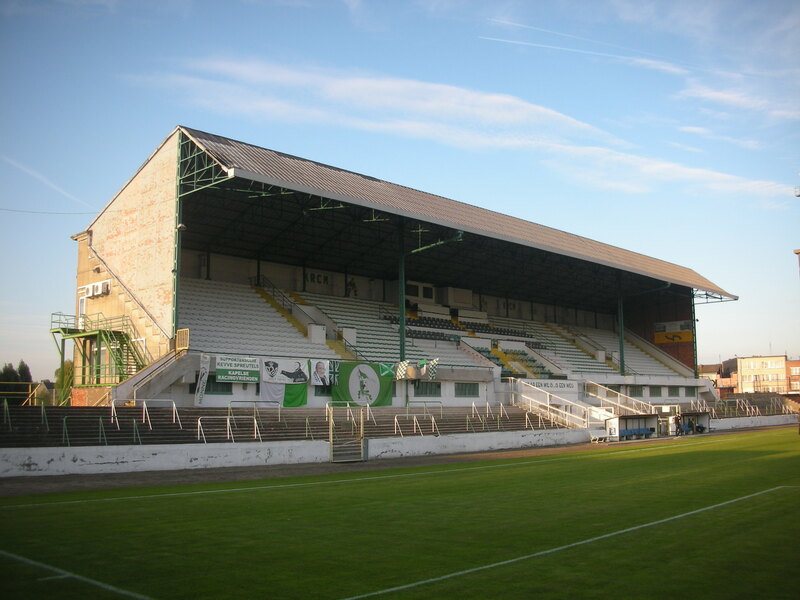 The glorious main stand was modelled on the “English style” of elevated grandstand and remains a quite stunning edifice. 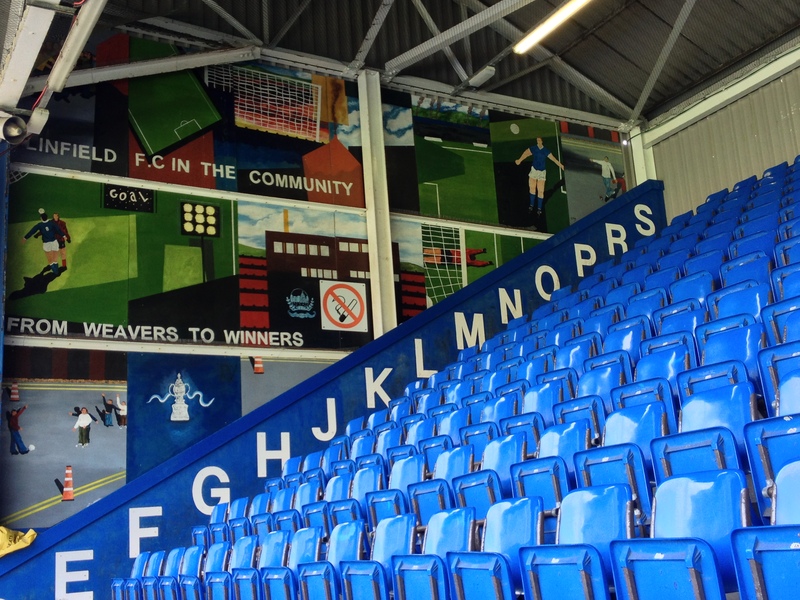 The players tunnel is truly impressive and displays the clubs motto of “Where there’s a will, there is a way”. 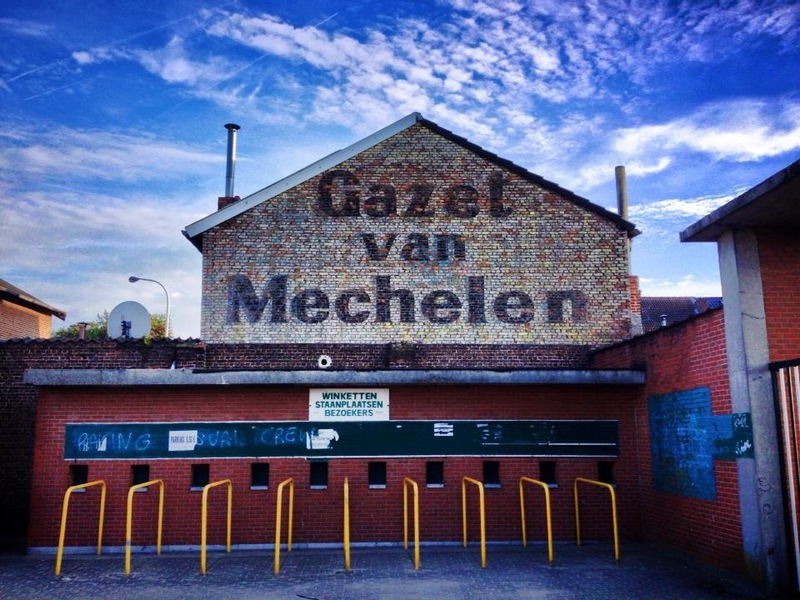 The Vankesbeeckstadion lies around a mile from arch rival KV’s Achter de Kazerne stadium and is just north of the city centre over the River Dijle. 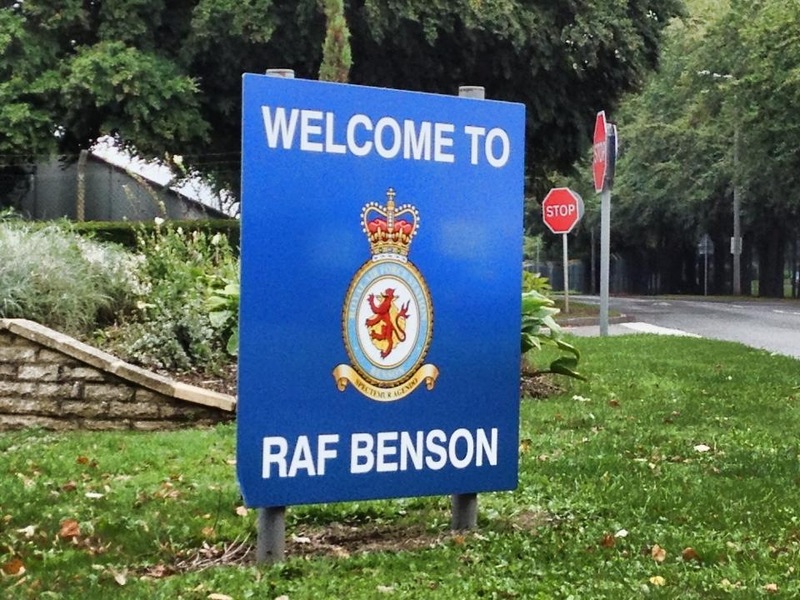 The ground displays some cracking flags, many in the English language, and several celebrating the Mechelen skyline. The lofty grandstand affords tremendous views across the city, notably visible is the illuminated tower of St.Rumbold’s Cathedral. This early evening kick off sees Racing as favourites for a win as they had amassed five victories in their opening eight League encounters. Visitors Gent-Zeehaven are in a mid-table position. 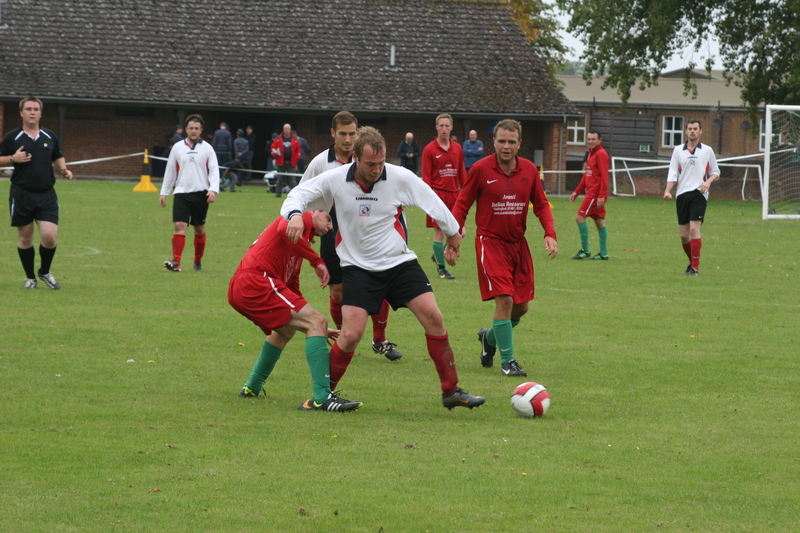 A goalless first half saw few chances for either side but a more open second period promised some goals. Against the run of play it’s the visitors that take the lead when Munoz netted as Racing failed to clear their lines. The home side pressured for a equaliser while Gent-Zeehaven seemed content to time waste at every opportunity, notably when their goalkeeper limped off injured. It was a ploy that would backfire on them. 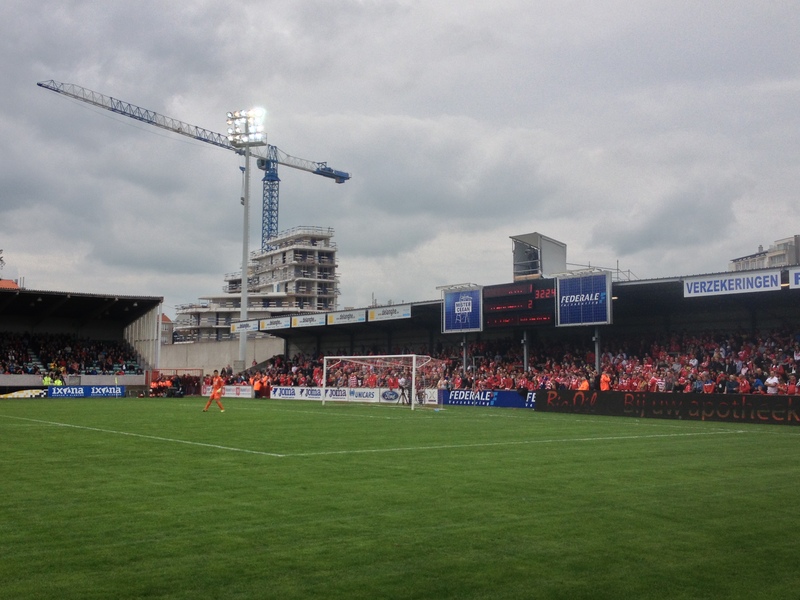 Mechelen deservedly equalised six minutes from time with a great strike from Mathyssen. Criminally the home side let in an identical goal to go 1-2 down with visiting skipper Criel the beneficiary of some poor defending. However, it was Racing that had the last word, levelling through Hmouda deep in the substantial period of stoppage time. A very entertaining match in a cracking football ground, just what Oscar Van Kesbeeck would have enjoyed. 19. Lars Knipping; 2. Tom Pietermaat; 4. Morad Gloub; 7. Modeste Gnakpa; 8. Achraf Essikal; 9. Dirk Mathyssen; 10. Kevin Spreutels (c); 11. Megan Laurent; 13. Rachid Hmouda; 15. Arne Naudts; 16. Seppe Brulmans. Subs: 5. Bert Tuteleers (for 11,46 mins); 12. Jessy Salut (for 4,80 mins); 14. Dylan Carton; 17. Max Beeckmans. 12. Kersten Lauwerys; 3. Jan Criel (c); 4. Othman Felix Kieran; 5. Quenten Schollaert; 6. Mathieu Welvaert; 7. Kevin Franck; 9. Nicolas De Lange; 15. Brecht Van Cauwenberge; 17. Gus Vandekerckhove; 20. Antonio Herrera Munoz; 21. Mackim Joos. Subs: 1. Nick Heyman (for 12,72 mins); 8. Imad Amazou (for 15,46 mins); 11. Fabio Lo Giudice; 13. Niels Elewaut (for 17,52 mins). 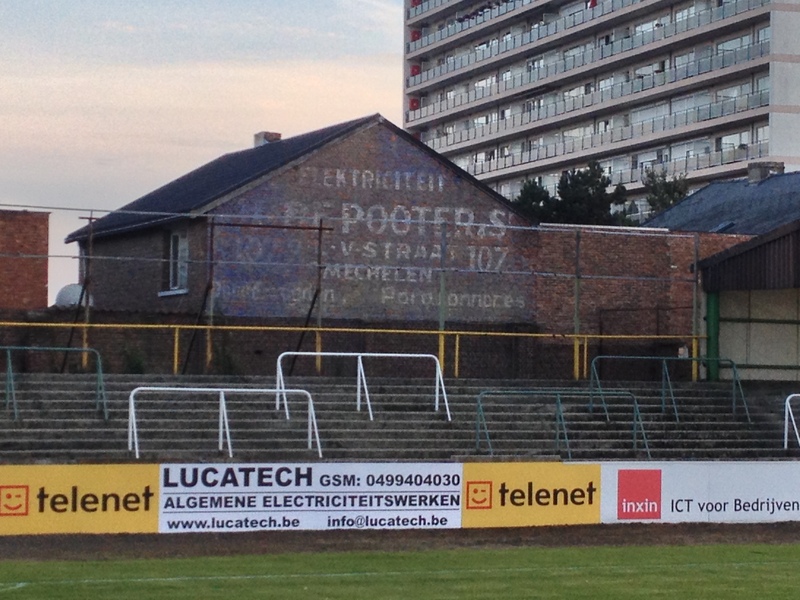 The West Flanders city of Roeselare has, unsurprisingly for Belgium, a somewhat convoluted footballing history. 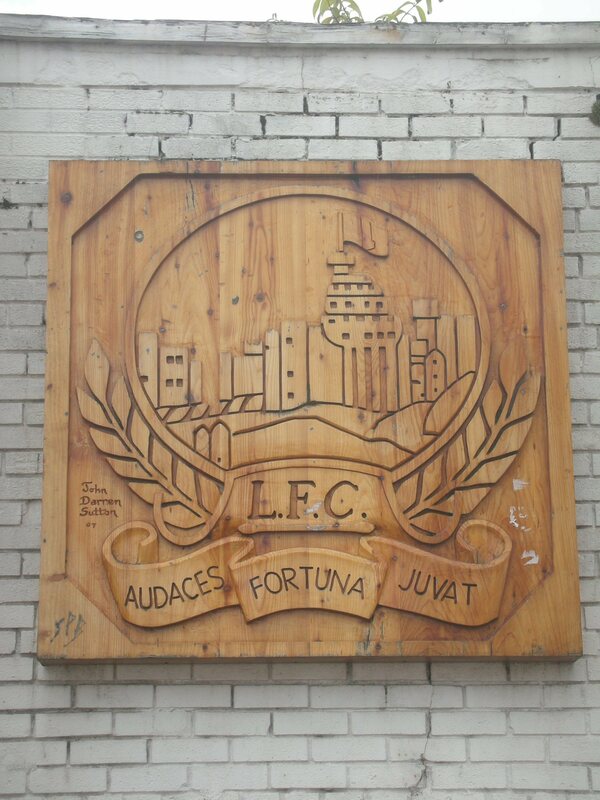 Football in the city dates to 1900 with the formation of a club called De Verenigde Vrienden (The United Friends), which soon became Red Star Roeselare and later still adopting the French name of Union Sportive Roulers. By 1909 however they had folded. 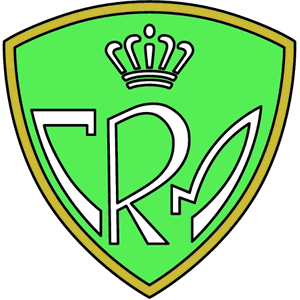 Two more town clubs, SK Roeselare and FC Roeselare, one catholic and one non-catholic, then briefly formed before disbanding during the war. The modern day club can date its formation very precisely to July 20th 1921, thanks to the wonderful Belgian matricule system of recording football clubs. 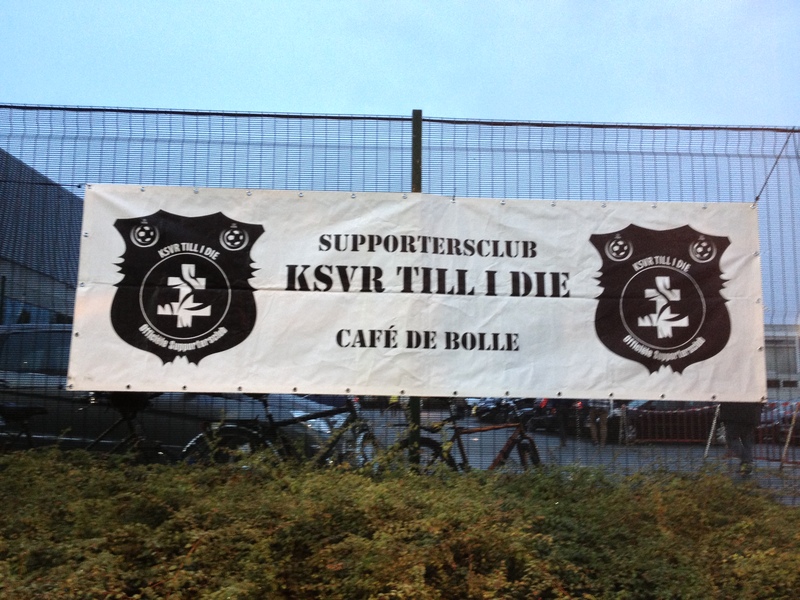 The new club, SK Roeselare, were awarded matricule number 134, a number they still keep today in spite of a 1999 merger with KFC Roeselare. 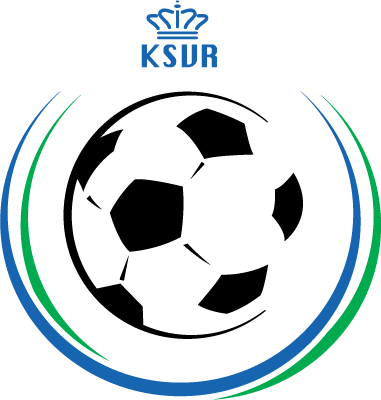 The merger was a resounding success, driving KSV Roeselare to the Pro League in 2005, the first time a club from the city had attained such lofty heights. 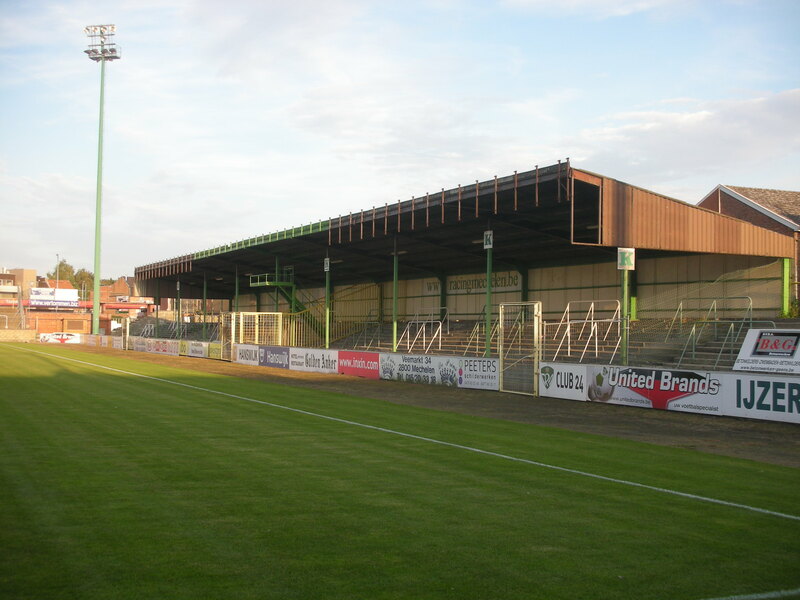 For the 2006/07 season, UEFA Cup football came to Roeselare and the Macedonian side Vardar Skopje were beaten in the first round before Roeselare were defeated 6-2 on aggregate by Ethnikos Achnas. 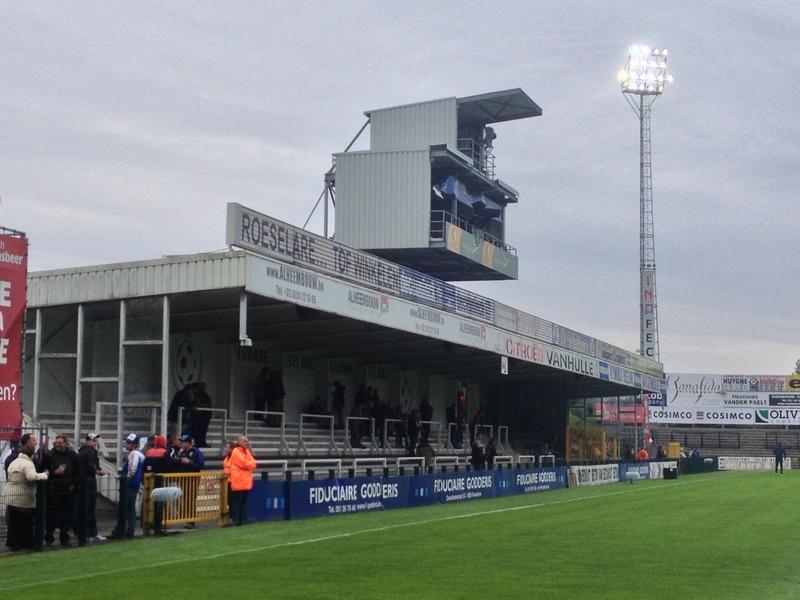 Roeselare’s spell in the top flight ended in 2009/10 when they were relegated with a financially collapsed Mouscron. They have competed in the second tier ever since. 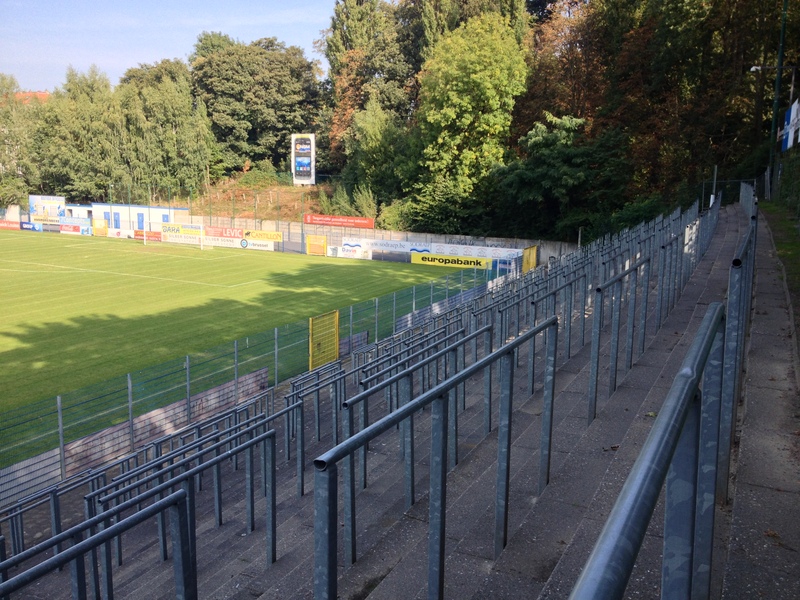 The Schierveldestadion is an impressive arena, a large main stand with a bar underneath, covered seating in a large end stand, and a small covered terrace on the far side with seating at one end for visiting fans. 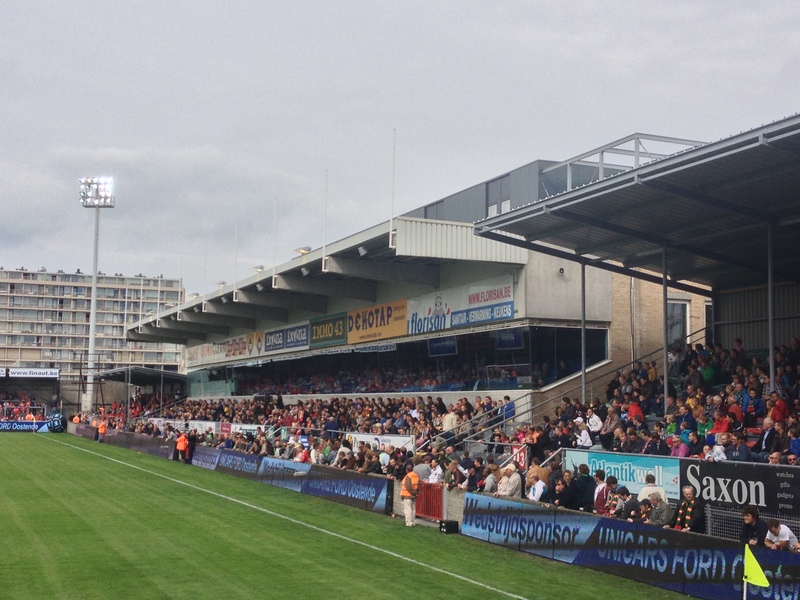 There is a curved open terrace at the far with some impressively tall floodlights. 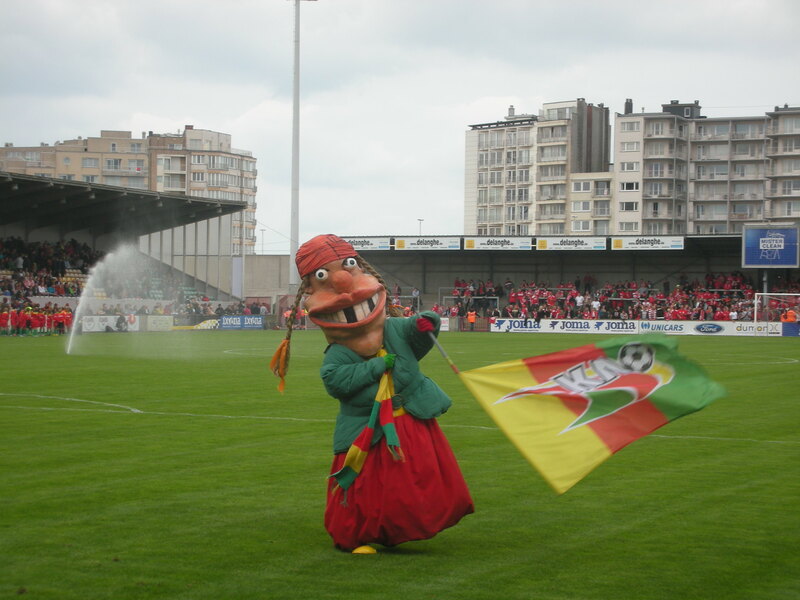 The name of the ground is taken from the name of the neighbourhood and does not have a literal translation, although velde means field in the Dutch language. The stadium’s capacity of 8,836 is not challenged tonight as a crowd of under 2,000 gather for this early evening kick off. It is the visitors, Sint-Truiden, that seize the early initiative and the very impressive Joeri Dequevi nets with aplomb in the 10th minute for the team lying in third place in the table. 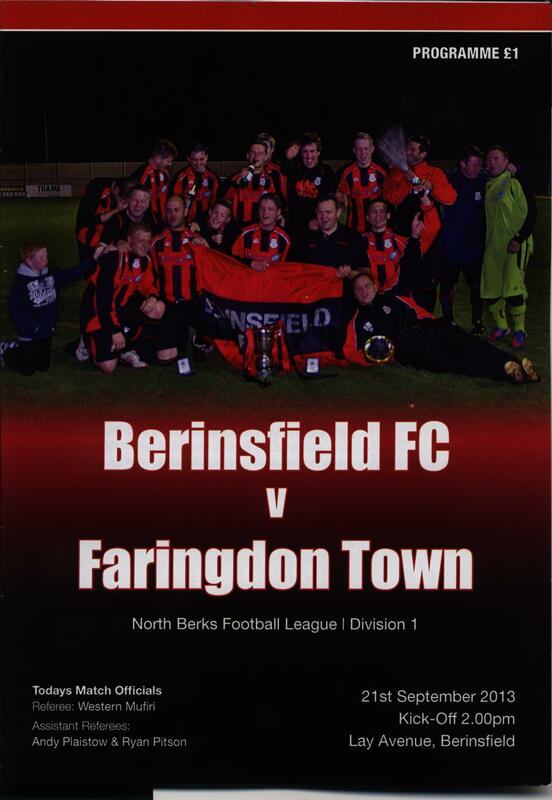 To their credit the mid-table home side square the scores just four minutes after falling behind when the lively De Rechter equalises. A half-time substitution sees Bram Vandenbussche introduced to the fray and what an impression he makes giving KSV the lead on 50 minutes with a thundering header. The home side begin to dominate proceedings but cannot extend their lead and gradually the visitors get back into the game. Eight minutes from time they have the chance to level the scores again when Borry makes an injudicious challenge inside his own area. Mohamed Aoulad steps up to take the spot kick but the home keeper Gilles Lentz adds to his already outstanding performance with a full length diving stop. The visitors pressurise the Roeselare defence and get their reward in the last minute when Dequevi again demonstrates his clinical finishing when given a chance. 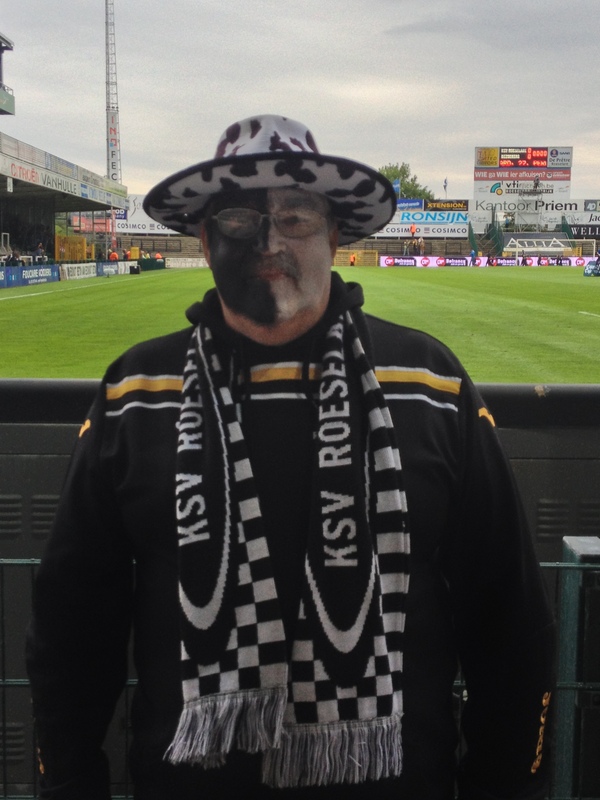 One can but hope that the glory days of Pro League football will not be long in returning to the Schierveldestadion. 1. Gilles Lentz; 2. Yannick Euvrard; 27. Pietro Perdichizzi; 14. Sergiy Serebrennikov (c); 3. Petar Bojovic; 6. Massis Vosanian; 19. Giovanni Delannoy; 15. Kjetil Borry; 33. Dieter Van Tornhout; 10. Sven De Rechter; 20. Anthony Di Lallo. Subs: 4. Cedric Guiro (for 14, 39 mins); 5. Romain Haghedooren (for 6, 74 mins); 11. Nils Sarrazyn; 12. Louis Bostyn; 21. Bram Vandenbussche (for 3, 46 mins); 25. Yohan Boli; 26. Thom Dorian Mpoto. 13. Laurent Henkinet; 3. Naim Aarab; 4. Ivo Rossen (c); 7. Gregory Dufer; 8. Guy Dufour; 14. Dimitri Daeseleire; 19. Yvan Erichot; 21. Mathias Schils; 24. Giel Deferm; 10. Lauri Dalla Valle; 11. Joeri Dequevi. Subs: 2. Gonzalo Busto; 12. Timo Cauwenberg; 18. Guillermo Mendez (for 7, 59 mins); 20. Mohamed Aouland (for 3, 52 mins); 22. Edmilson (for 8, 75 mins); 25. Lennart Ghijsens; 27. Erivelton. 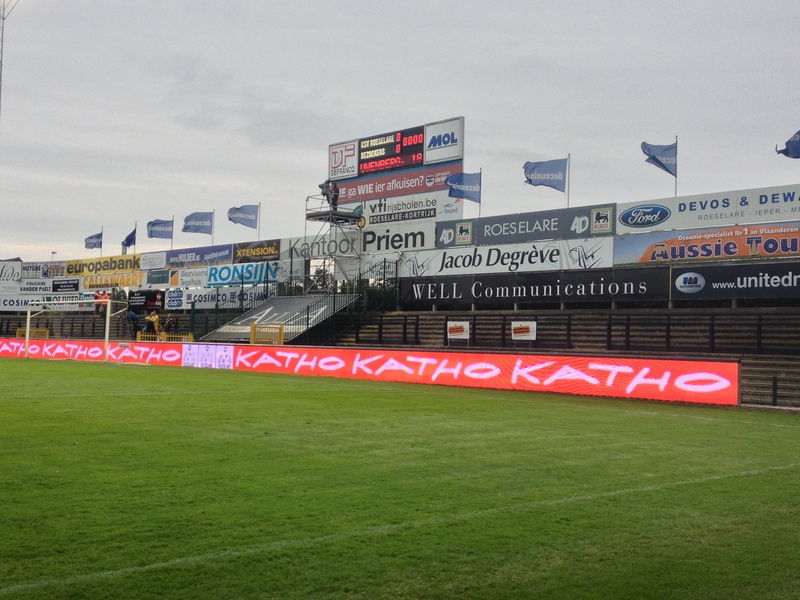 Yellow Cards: Borry, Van Tornhout, Borry (KSV); Aarab, Rossen, Dalla Valle (St.Truiden). Oostende on the Belgian coast has always held an interest for me, due mainly to its famous seafront building called the Kursaal. So inspired by a stay in Oostende the Tollhurst family returned to Southend and built their own Kursaal at Marine Park which remains operational to this day. The football ground built in its substantial acreage would be home to my beloved Southend United between 1919 and 1934. 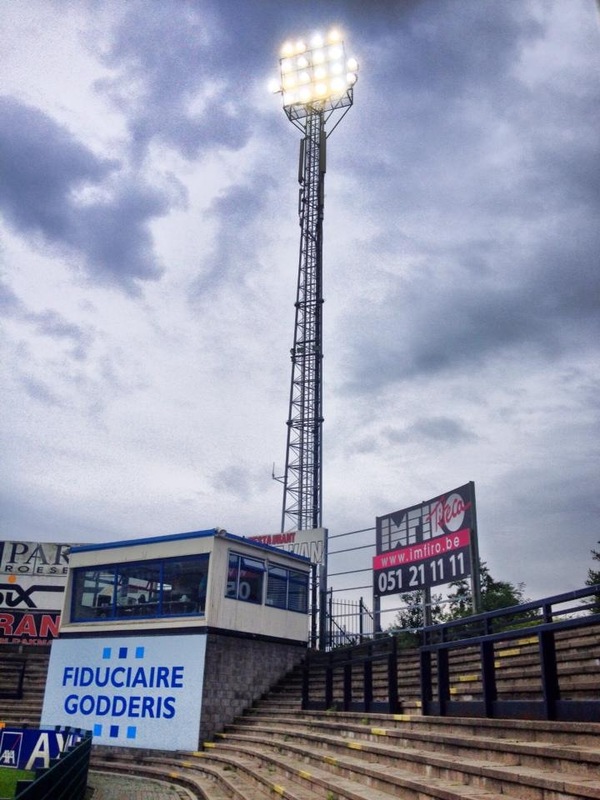 So a trip to the Albertpark Stadion was always on my wish list and what finer occasion than when the “Kustboys” welcomed runway leaders Standard Liège to West Flanders. 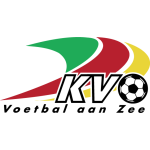 Koninklijke Voetbal Oostende were formed in 1904 and are registered on the Belgian matricule system as number 31. They were originally called V.G. Oostende but were soon superseded in status by upstarts A.S. Oostende, formed seven years later. 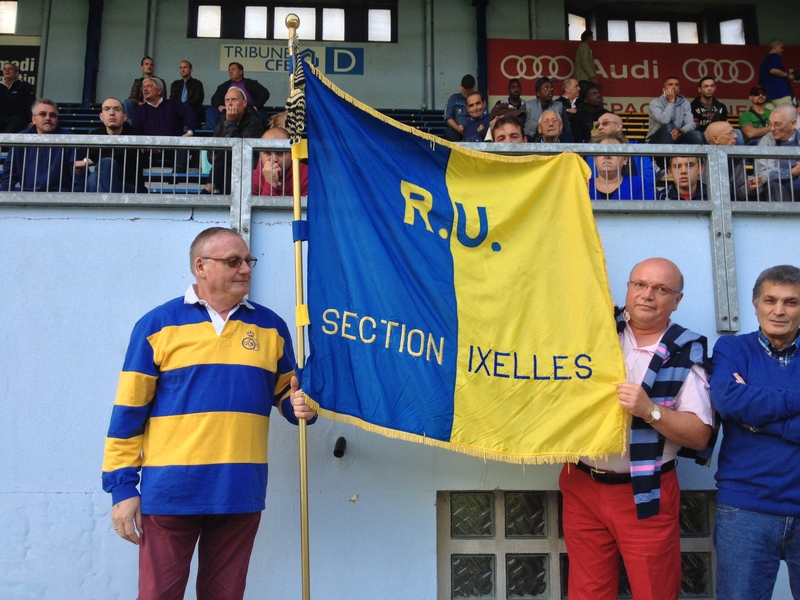 The two clubs battled on until 1981 when a mutually beneficial merger saw the formation of the current K.V. 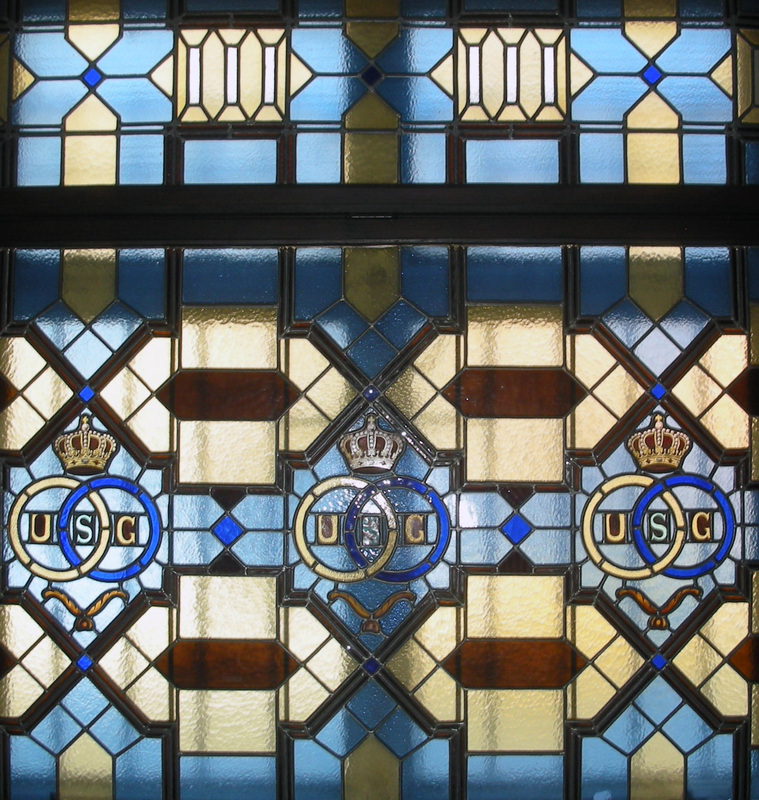 Oostende club. Confusingly since the merger a new V.G. 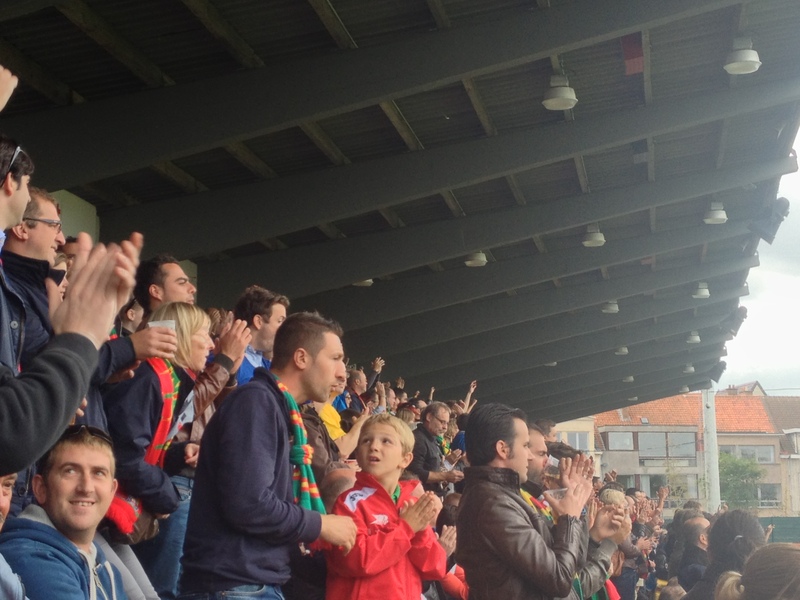 Oostende club have been formed and currently play in the fifth tier West Flanders Provincial League. 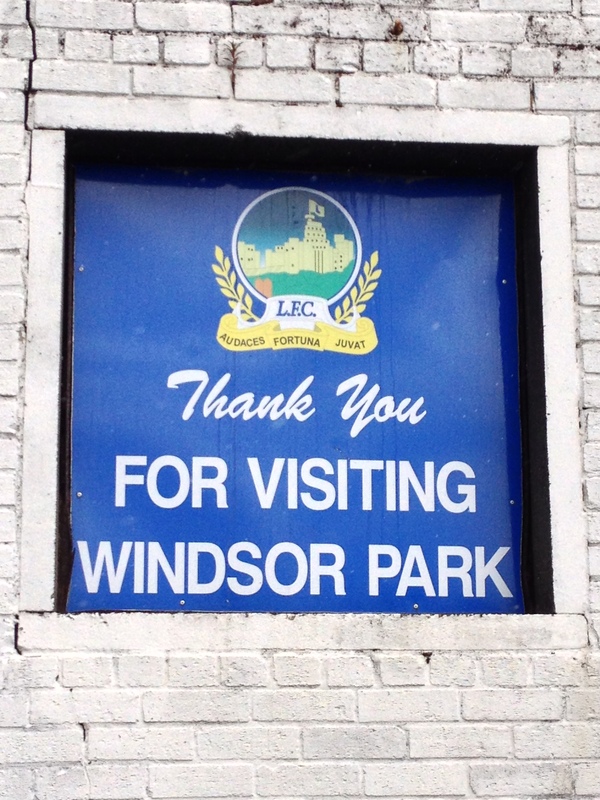 They currently groundshare with K.V. 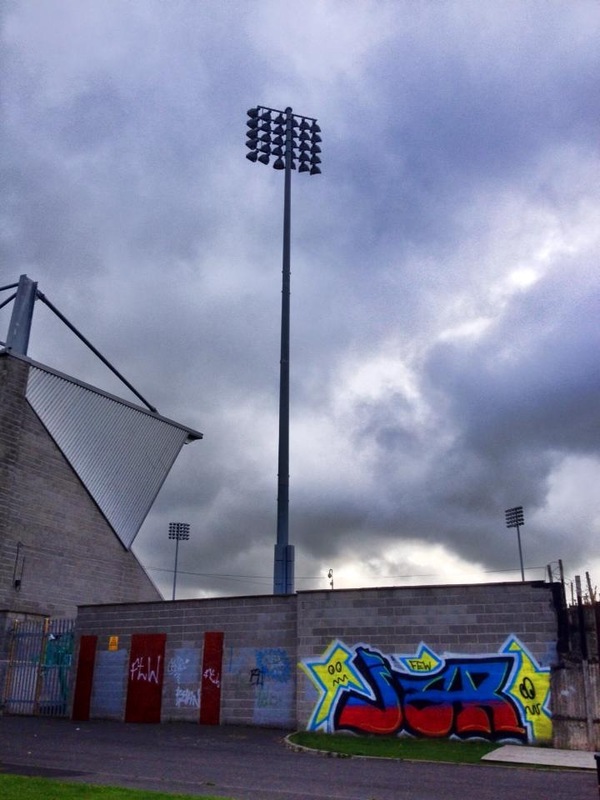 at the Albertpark Stadion after having their historic Armenonville Stadion declared unsafe. 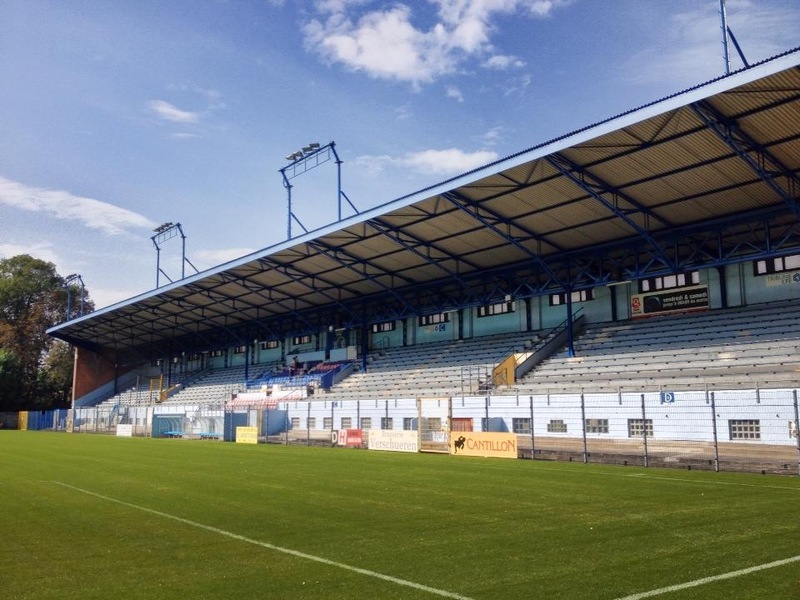 The Albertpark Stadion itself was opened in 1934 and is reminiscent of Oxford United’s old Manor Ground with a hotchpotch of stands on either side. 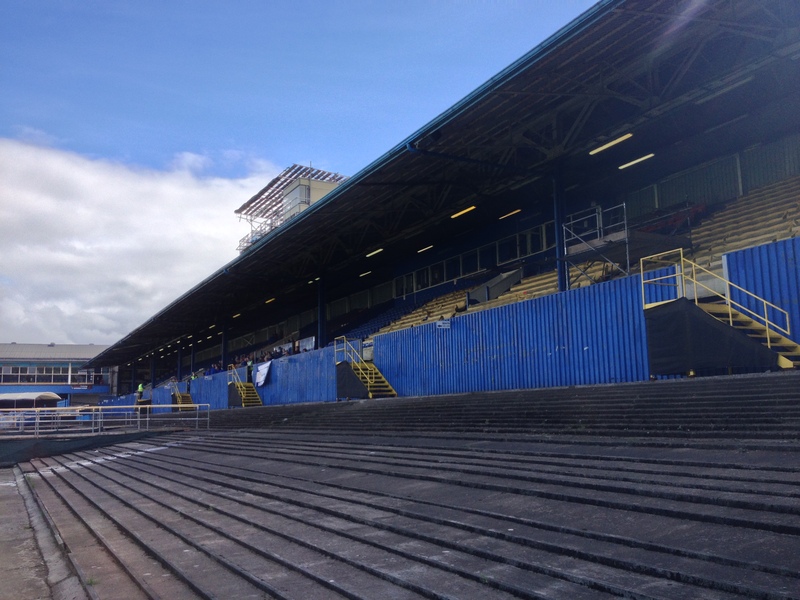 One stand appears to be of a temporary nature, no doubt installed to increase capacity to the minimum requirement of 8,000 (with 5,000 seats) for top flight football. K.V. 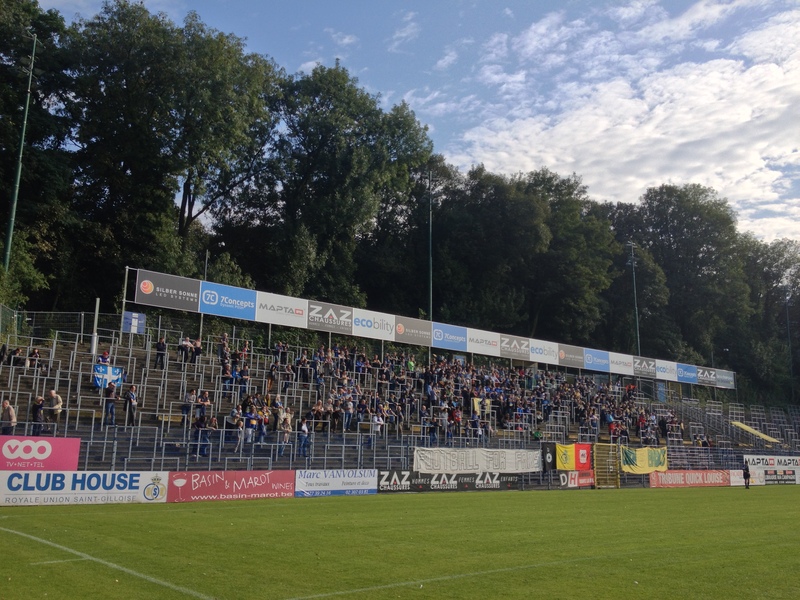 won the Belgian Second Division by a comfortable ten points last season which has resulted in their first spell in the top flight since the 2004/05 campaign. Sadly for the Coast Boys the new season has got off to a bad start and after six rounds of matches they prop up the Pro League table with just two points, their inferior goal difference placing them beneath fellow slow starters Mons. Conversely today’s opponents have got off to a flyer with maximum points from six games and without a single goal conceded. 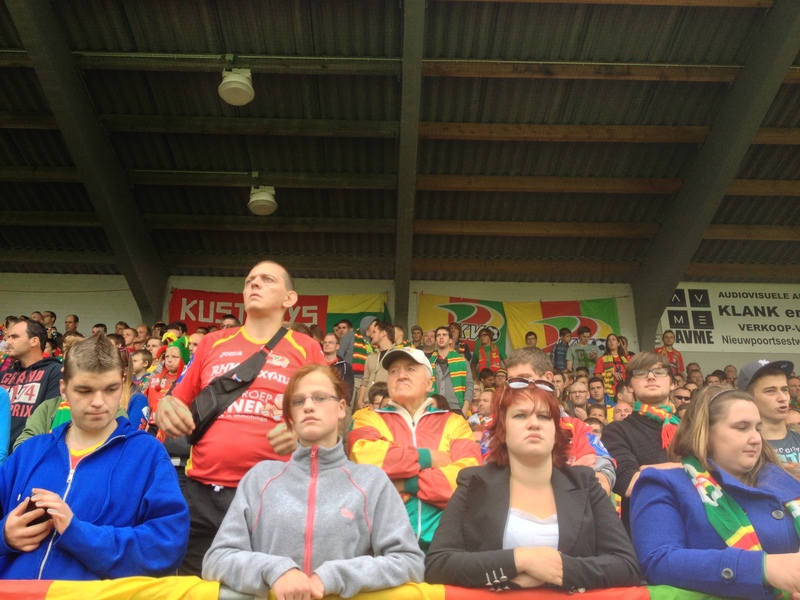 Indeed, they looked a good outfit when I saw them earlier in the season at KV Mechelen. Oostende have bolstered their ranks in recent weeks with several loan signings including Frenchman Franck Berrier who had a great campaign at Zulte-Waregem last season. Anderlecht have also sent the Brazilian Fernando Canesin and Jordan Lukaku, younger brother of national team striker Romelu, on loan to Oostende. Even with their augmented roster this was going to be a tough challenge for the Kustboys. Football being the great purveyor of unpredictability that it is saw the Albertpark Stadion burst into delirium after 13 minutes when Laurent Depoitre pierced the Liège defence for the first time this season. However, Standard soon exerted their authority on proceedings by scoring three times in a 15 minute spell before half time. Firstly Imoh Ezekiel levelled the score before a brace from the prodigiously talented 19 year old Michy Batshuayi, saw the visitors lead 3-1 at the break. Just be for the hour mark the impressive Batshuayi completed his hat-trick in fine style. 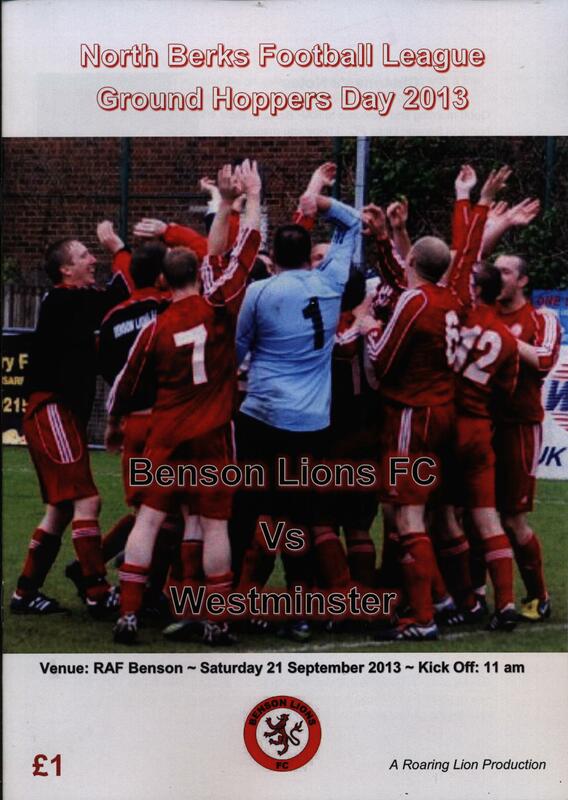 Two minutes later though Denis Dessaer headed a corner in at the far post having found himself totally unmarked. The volume was cranked up at the Albertpark Stadion but in truth the home side didn’t really look like they believed they could score a third time. They didn’t, and Standard saw out the 90 minutes with consummate ease. The Albertpark Stadion is a good stadium to visit, compact and homely and awash with the home side’s vibrant colours of red, yellow and green. 31. Céderic Berthelin; 2. Xavier Luissint (c); 13. Frédéric Brillant; 6. Baptiste Schmisser; 24. Jimmy Hempte; 22. Jonathan Wilmet; 7. Sebastien Siani; 19. Denis Dessaer; 25. Fernando Canesin; 27. Franck Berrier; 9. Laurent Depoitre. Subs: 1. Nicaise Kudimbana; 3. Niels De Schutter; 26. Jordan Lukaku (for 25, 74 mins); 16. Yohan Brouckaert (for 19, 65 mins); 11. Thomas Foket; 21. Gertjan Martens (for 6, 42 mins); 14. Tom Van Imschoot. 1. Eiji Kawashima; 4. Daniel Opare; 37. Jelle Van Damme (c); 6. Laurent Ciman; 11. Frederic Bulot; 21. William Vainqueur; 25. Antonio Kanu Perriera; 44. Ibrahima Cisse; 63; Geoffrey Mujangi-Bia; 39. Imoh Ezekiel; 23. Michy Batshuayi. 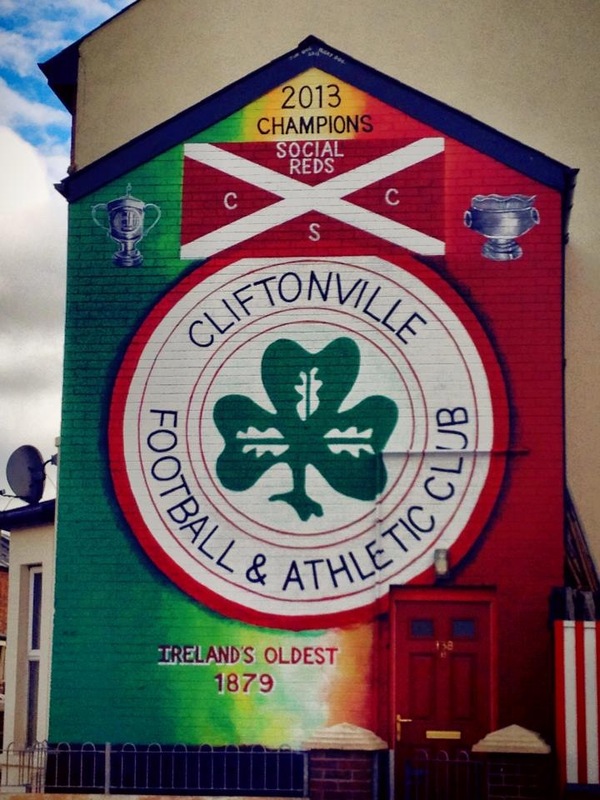 Formed very precisely on September 20th 1879 by a young Belfast businessman John McAlery, Cliftonville are the oldest club in the whole of Ireland. 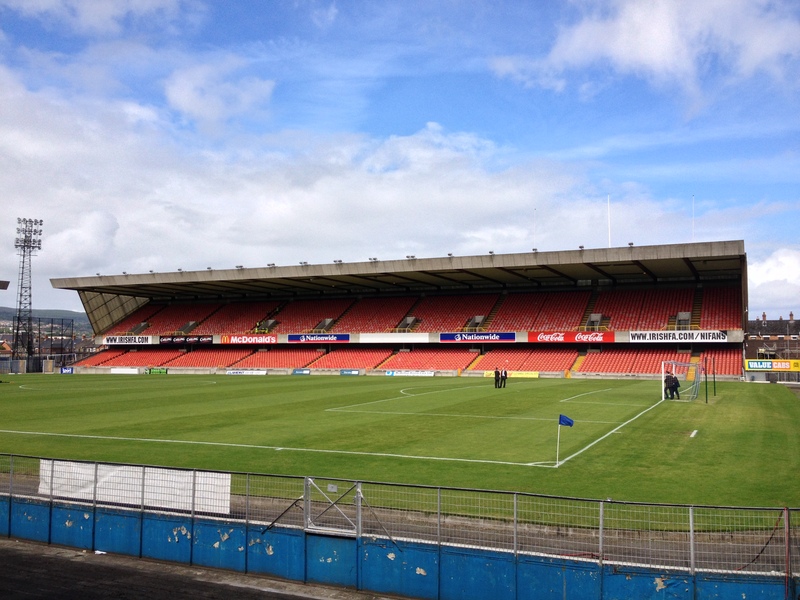 Originally playing at Cliftonville Cricket Club in Oldpark Avenue, The Reds moved to Solitude in 1890 and the arena soon also became home to Northern Ireland’s international matches. 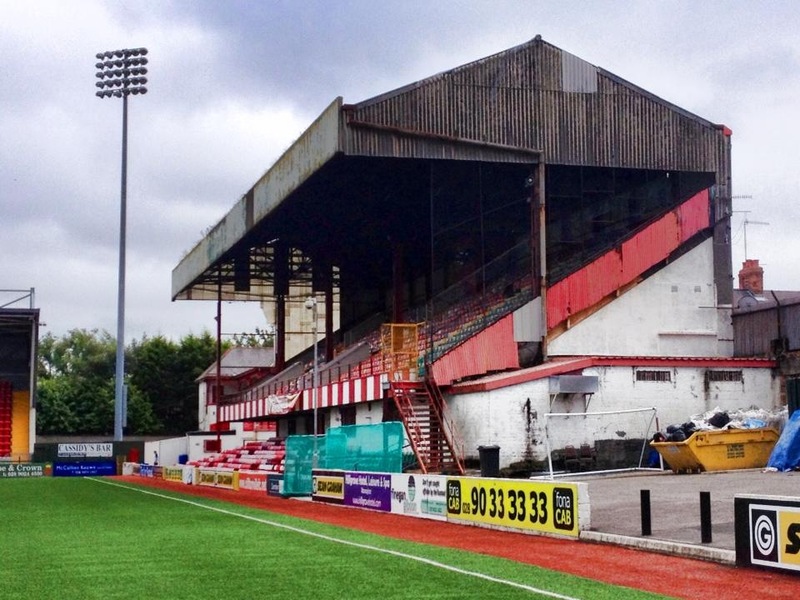 The centre piece of the ground is the main stand on the west side of Solitude. 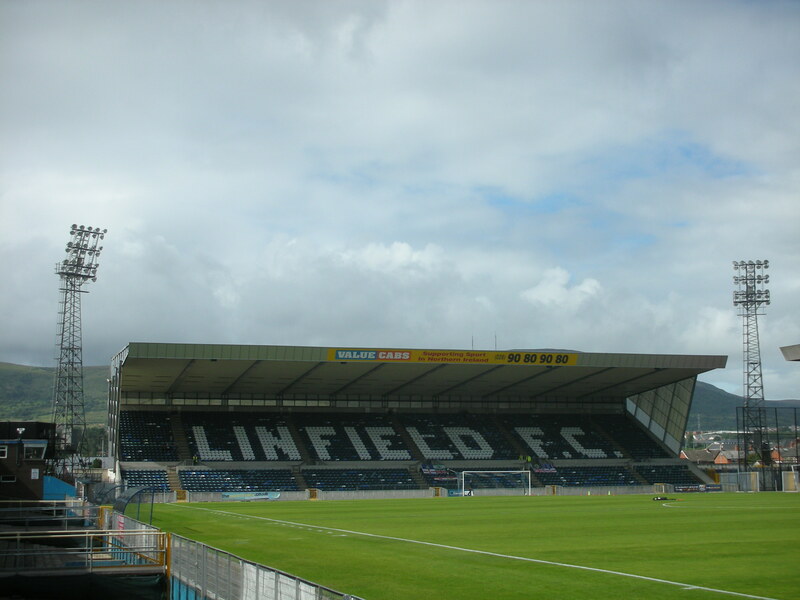 It looks considerably older than its 1950 vintage, replacing the original main stand which was lost in a fire following a Linfield v Glentoran cup tie staged at Solitude in January 1949. It holds some 2,500 people but tonight the top tier, with its multi coloured seats, is off limits, the lower tier is packed with the clubs most vocal supporters. 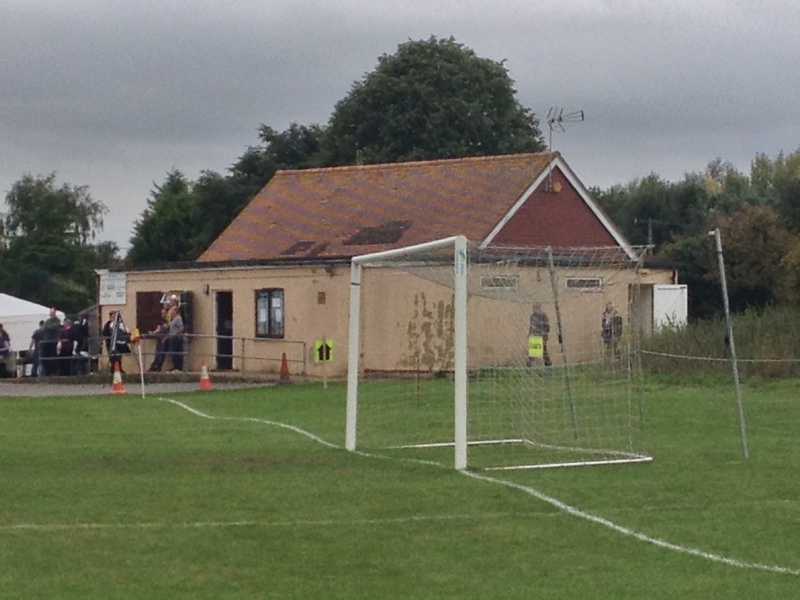 In the corner is the Whitehouse, the now disused former changing rooms and boardroom. 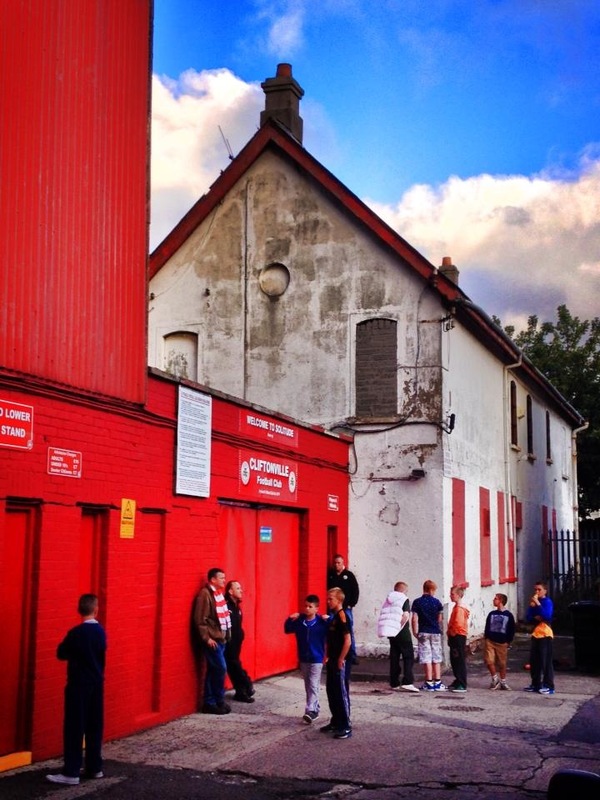 It looks on rather forlornly and one can only hope the club can gain funding to renovate the house into a museum of club history. 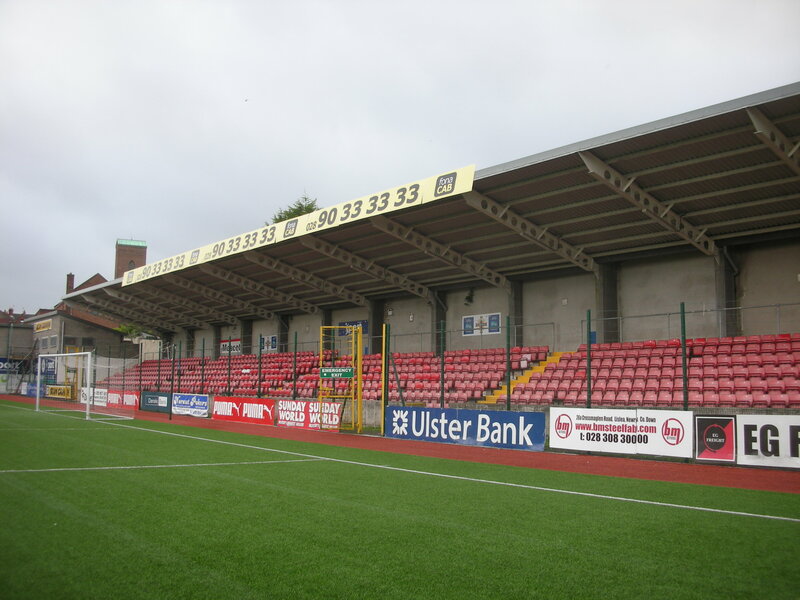 The reason for the dereliction is in the modern facilities built under the new Cage End stand in 2008. 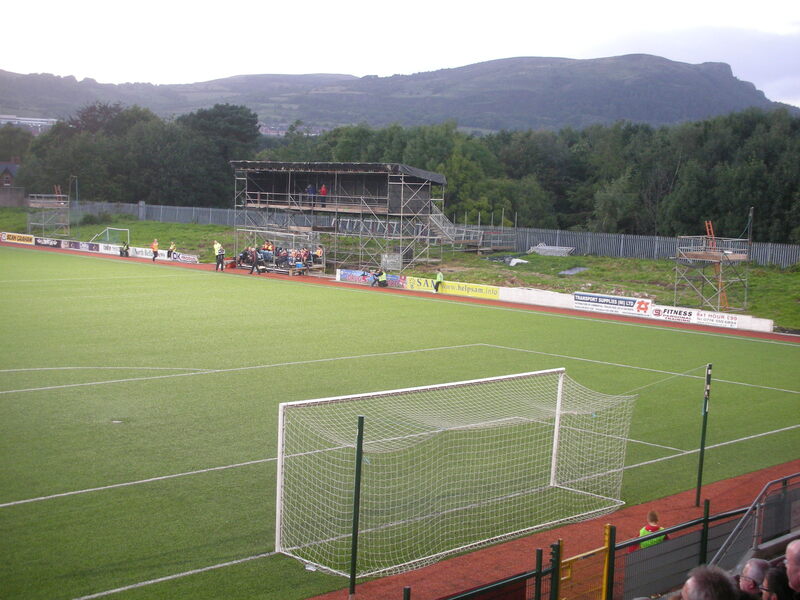 The old Cage End was a cavernous covered terrace, today’s replacement is a rakish modern seated stand with fine views of the surrounding hills. 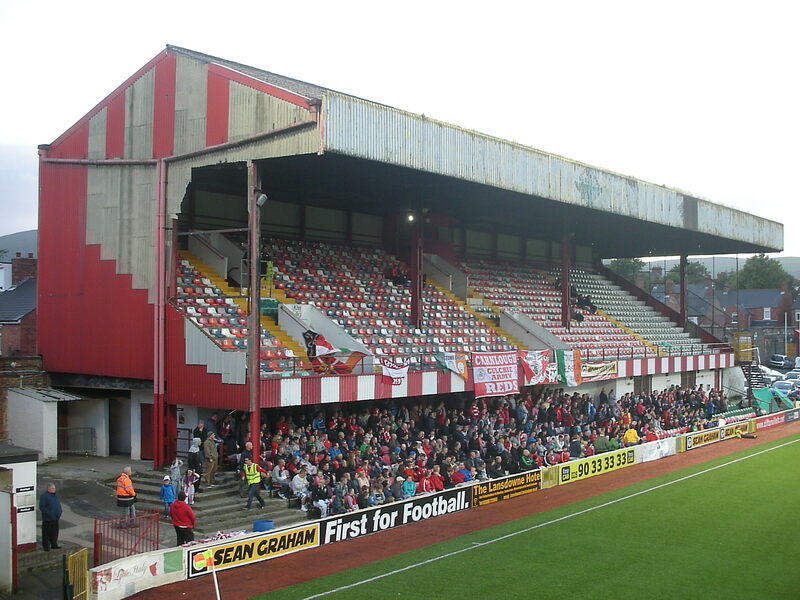 The away end opposite had seats installed in 2001 replacing the old covered Bowling Green End terrace. 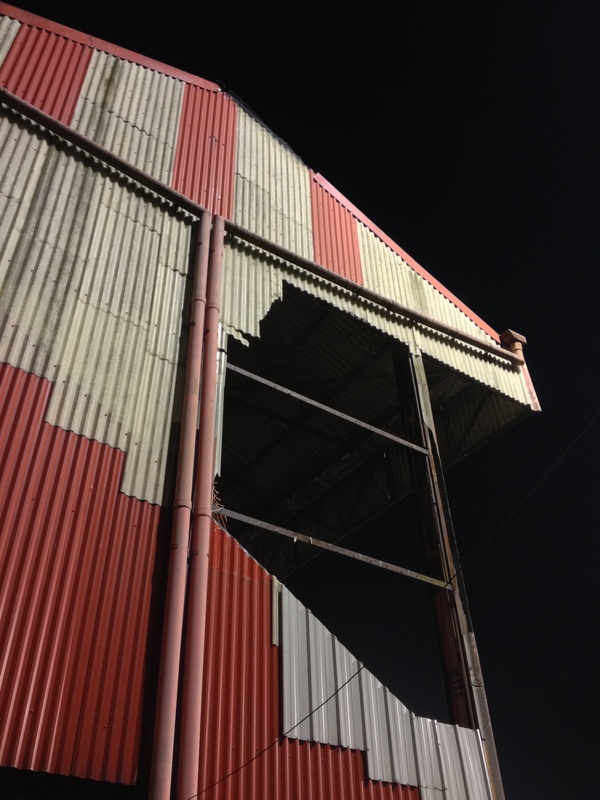 The side opposite the main stand has a huge television gantry but is otherwise a grass bank, off limits to supporters. 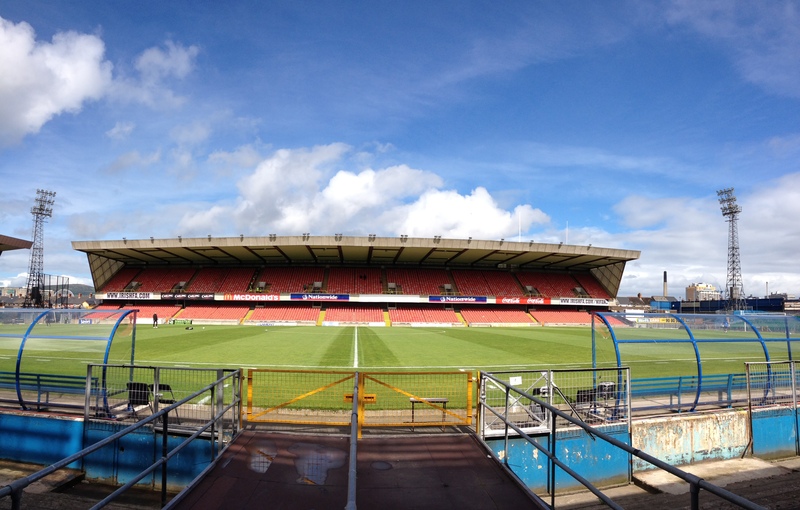 However, this open side has lovely views to the east. Prior to kick off the tannoy issues a stern warning over sectarian and racist chanting, and it is uplifting to note that from both sides nothing but passionate support for their respective teams is heard. 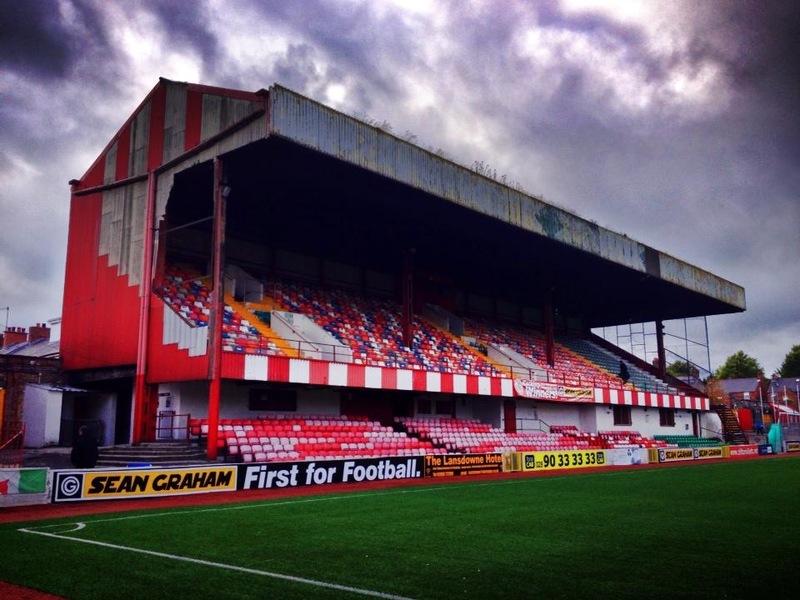 Last season Cliftonville cantered to the Premiership title, their first success since 1998. 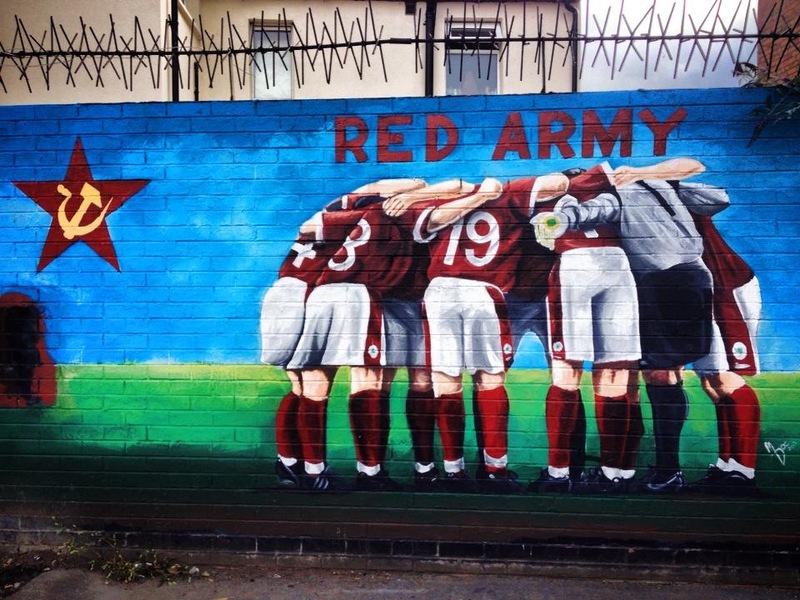 The stunning nearby wall mural has had a timely update to commemorate the title success. 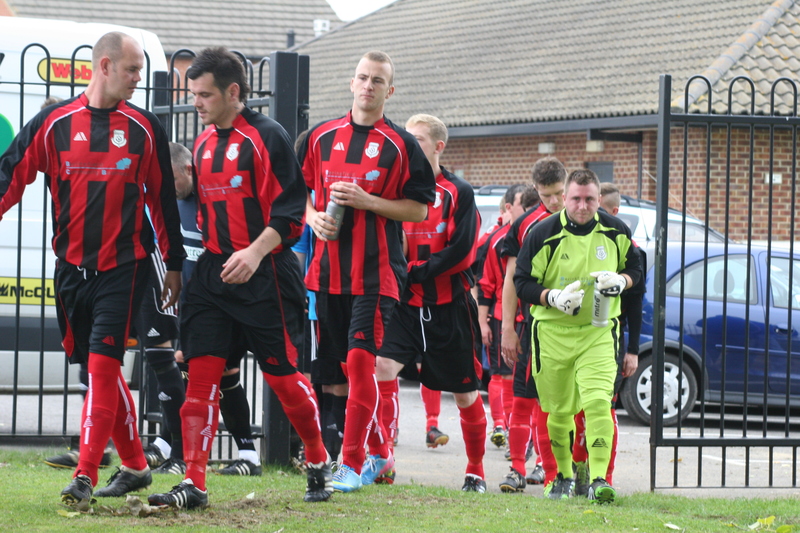 On the field The Reds seize the initiative and they are ably led by skipper Ryan Catney. His play is full of quality, incisive passing, making the ball do the work, galvanising his colleagues. It is surprising that the Reds take more than an hour to register on the scorecard. 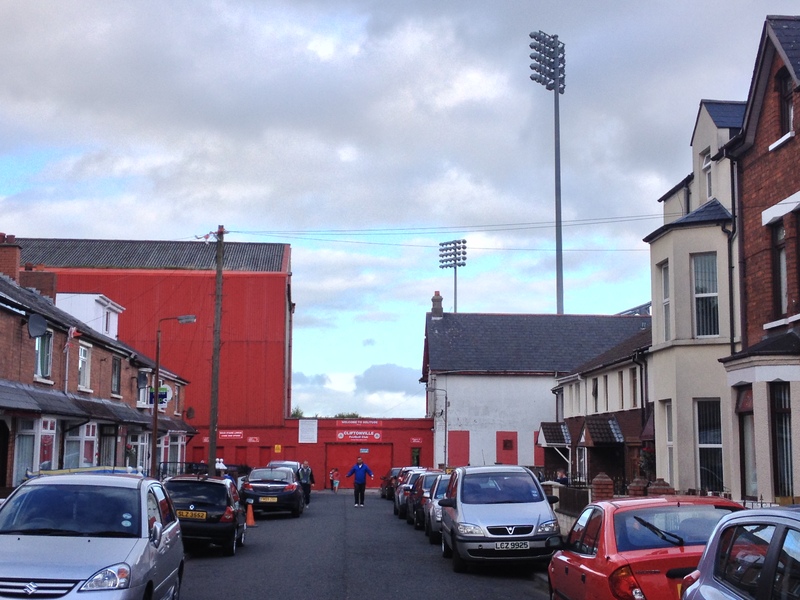 Marc Smyth bundles home after a skirmish in the Portadown area. 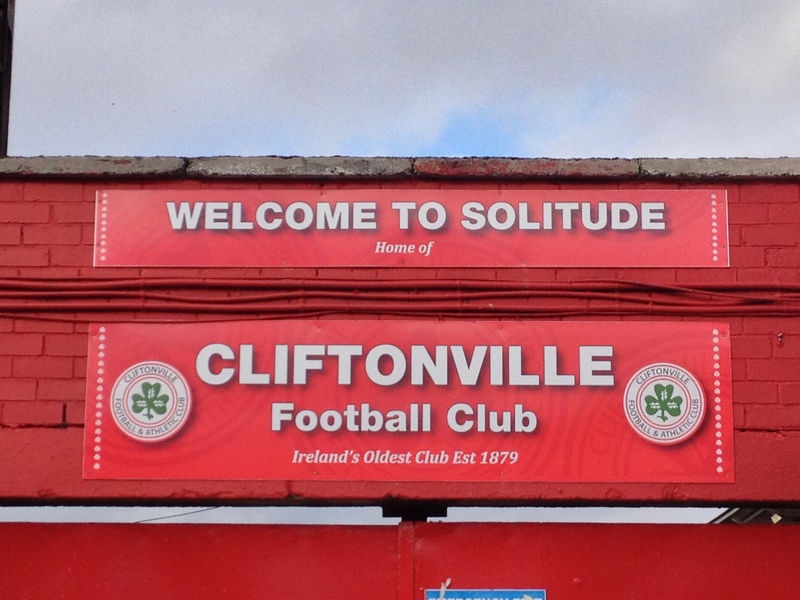 Two minutes previously Cliftonville should have taken the lead when Chris Curran was upended in the penalty area. However, visiting keeper David Miskelly makes an excellent save from the usually reliable Joe Gormley’s spot kick. 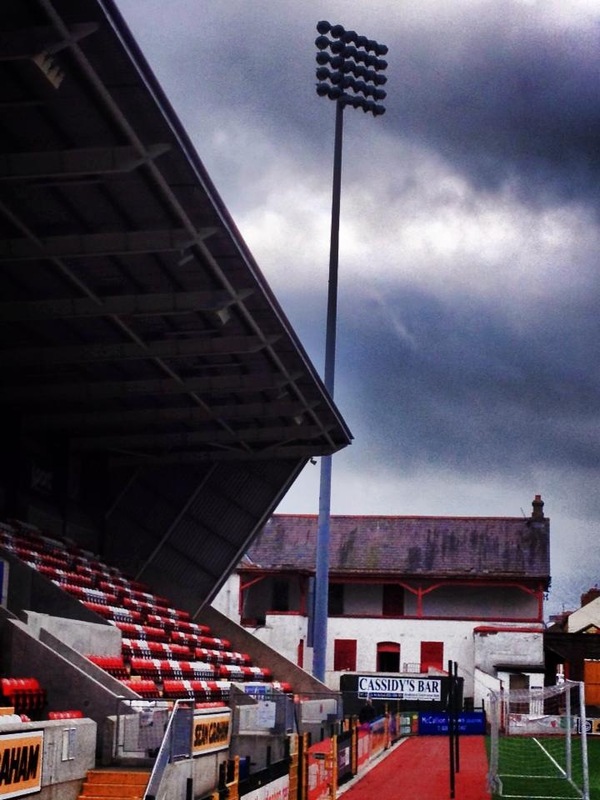 I wondered if the Reds would rue that missed kick as Portadown’s rugged but effective play meant they were never out of this contest. With just seven minutes remaining the visitors started what was to be a smash and grab raid on the reigning champions. Firstly full back Chris Casement blasted in an equaliser and then just into injury time the impressive Gary Twigg, who had given a fine display of the art of centre forward play, cracked home a winner in front of delirious away supporters. 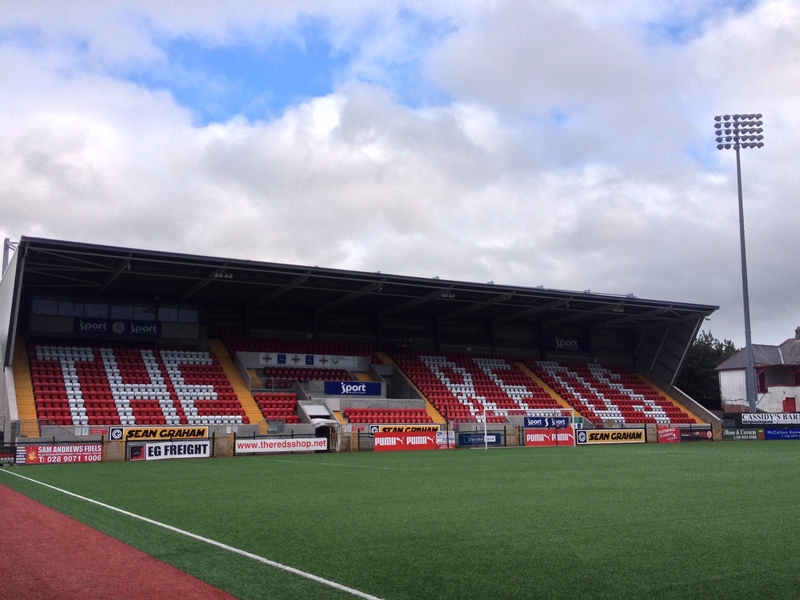 Having won their opening three games of their title defence the defeat clearly shocked the home side but the quality throughout the team should soon steady the good ship Solitude. Security regulations mean a delay in getting out of the ground at the end of the game. 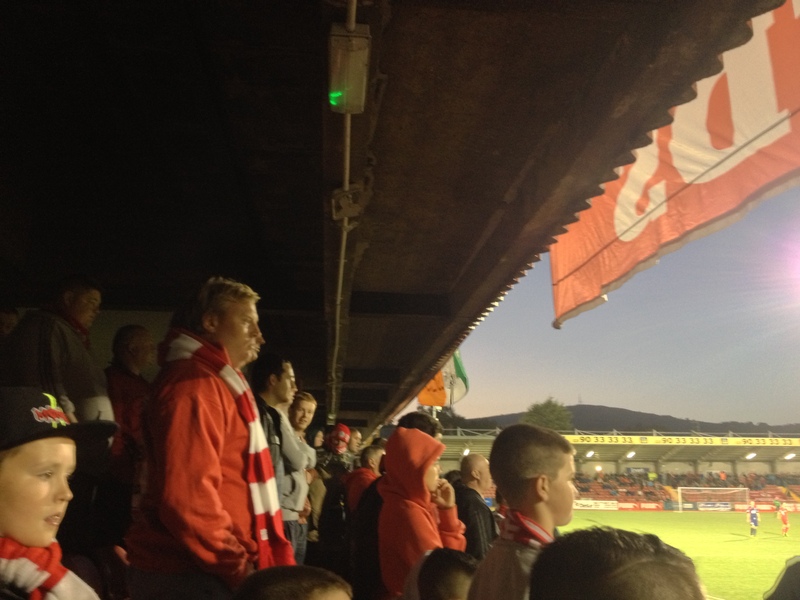 What was initially a considerable annoyance gave way to a genuinely heart warming moment, the detained Cliftonville supporters sportingly applauding their impressive visitors off the field. 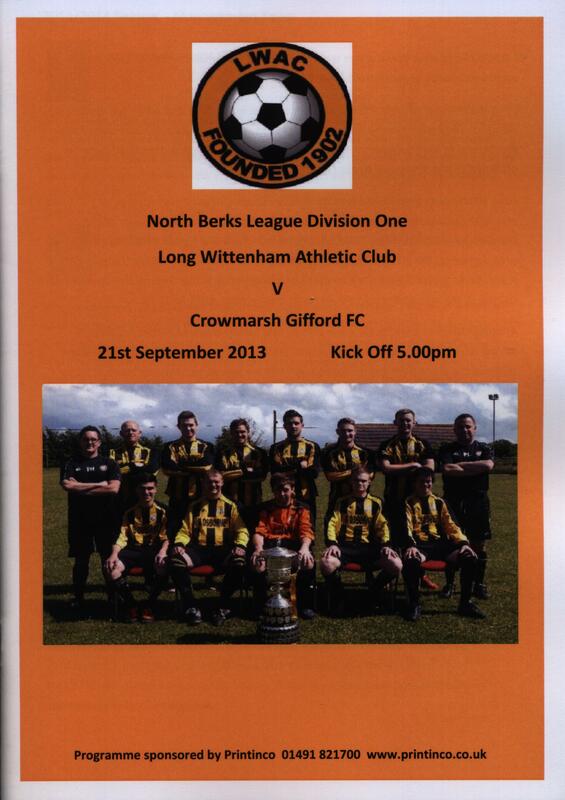 It summed up what is truly great about this club, history and sportsmanship of the highest order. 12. Conor Devlin; 2. Jamie McGovern; 3. Ronan Scannell; 11. Martin Donnelly; 13. Joe McNeill; 16. Marc Smyth; 17. Ryan Catney (c); 19. Joe Gormley; 20. Chris Curran; 23. Tomas Cosgrove; 27. Liam Boyce. 6. Paddy McNally; 7. Ciaran Caldwell; 10. Stephen Garrett (for 27, 73 mins); 14. Diarmuid O’Carroll (for 19, 81 mins); 15. Eamonn Sedyak (for 3, 56 mins). 1. David Miskelly; 2. Chris Casement; 5. Chris Ramsey; 6. Garry Breen; 7. Peter McMahon; 9. Darren Murphy; 10. Kevin Braniff (c); 22. Johnny Black; 21. Emmett Friars; 18. 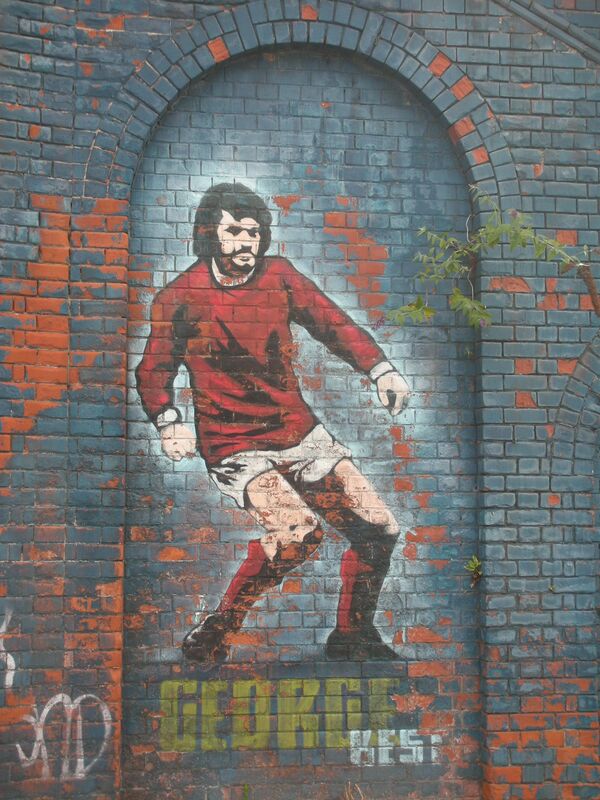 Gary Twigg; 19. Neil McCafferty. 12. Matthew Paget; 13. Billy Brennan; 19. Matthew Rooney; 23. Nathan McConnell; 24. Orman Okunaiya. Yellow Cards: Casement, Ramsey, Friars (all Portadown).